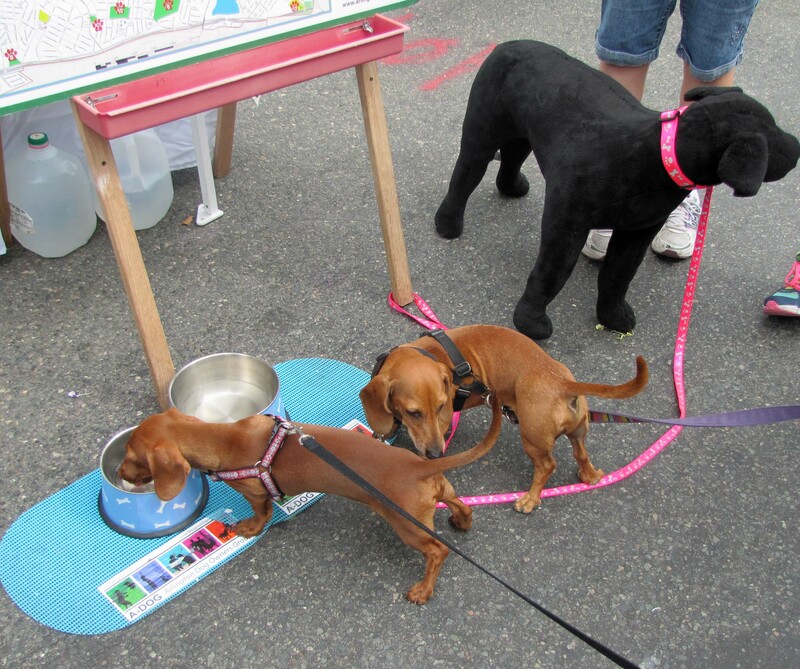 SUPPORT THE THORNDIKE DOG PARK! 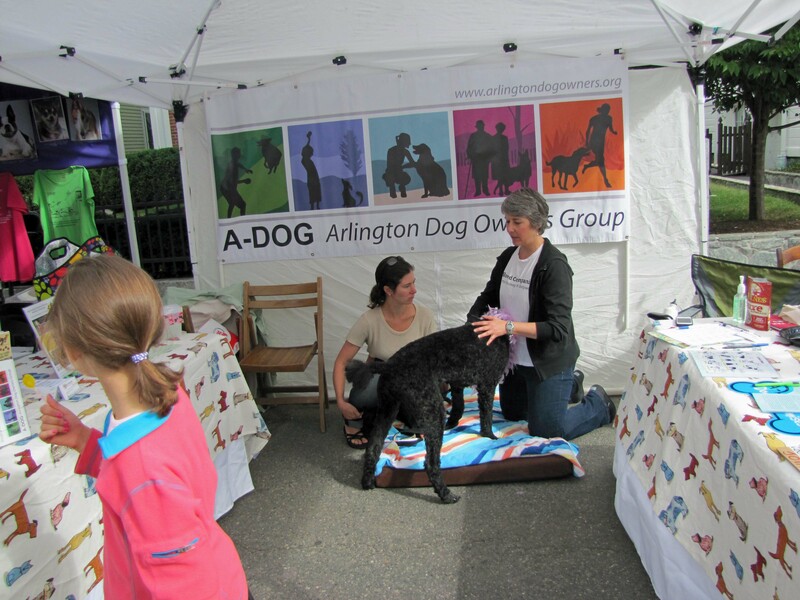 Arlington Dog Owners Group, or A-DOG, is a nonprofit 501(c)(3) community organization celebrating the canine-human bond! 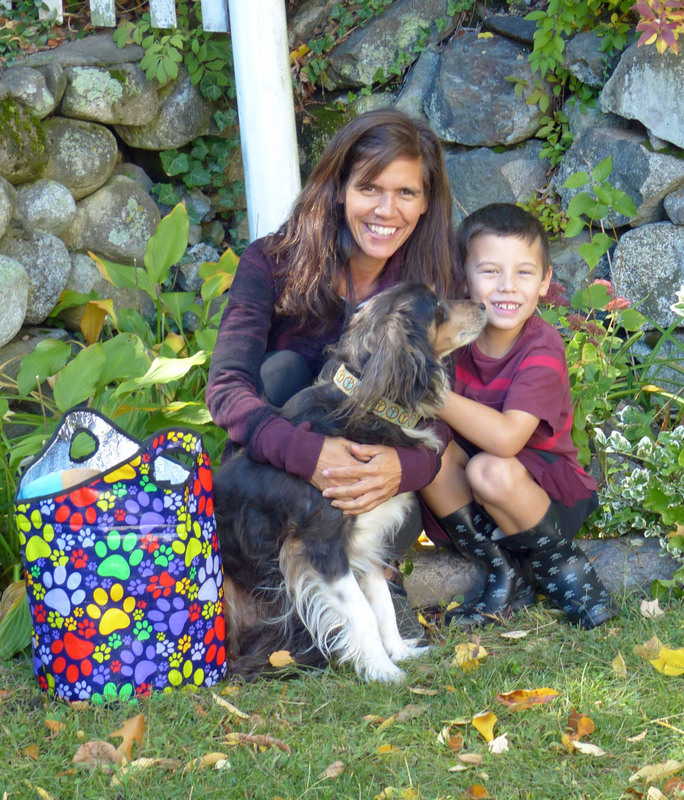 Since 2008, A-DOG has represented the rights and interests of responsible dog owners in Arlington, MA. Read what else our members have to say about A-DOG! See some of our dogs! Join the A-DOG group on Facebook, just for fun and to stick together! 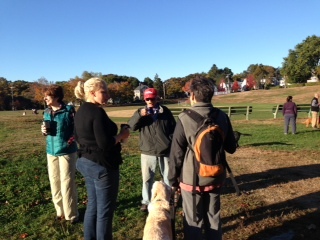 Support the Thorndike Dog Park in Arlington! Membership: Be an A-DOG member — join or renew today! Details. 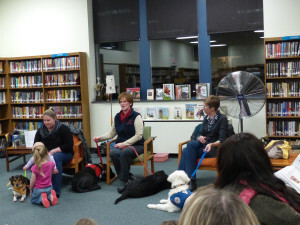 A-DOG Meetings 4th Tuesday evenings at 6:30 pm (Jan, March, May, July, and October), at locations to be announced (e.g. in the calendar of our Wags and Tags newsletter). Usually there is a potluck dinner at 6:30 and meeting from 7 to 8 pm. 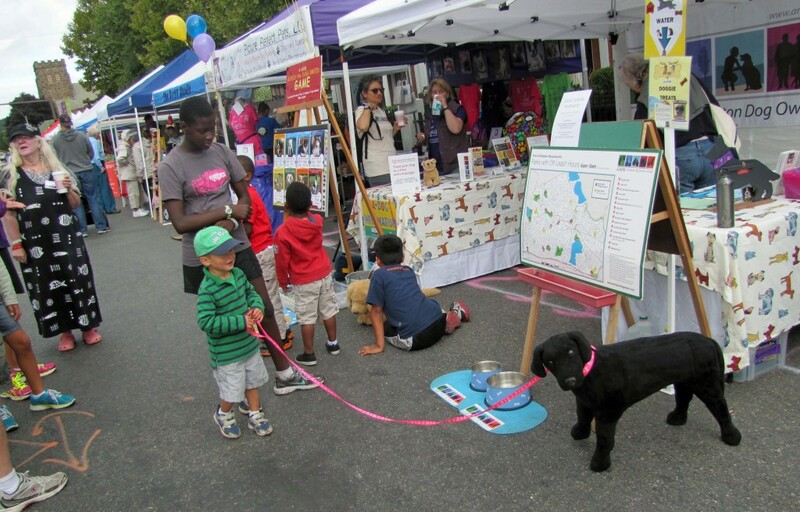 Future fun in 2019: More great events are coming up this year, including our annual FIDO Fest outdoor dog video festival! Make sure you join us for our events or at least sign up (below) for the Wags and Tags newsletter, to be kept in the loop! Morning off-leash recreation is now allowed at several Arlington parks. 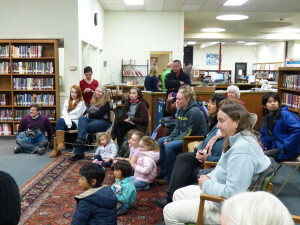 An A-DOG sponsored Town Meeting Article (Art. 36, 2010) made this bylaw change possible! (see Animal Control bylaws and search “Article 36” for more history.) 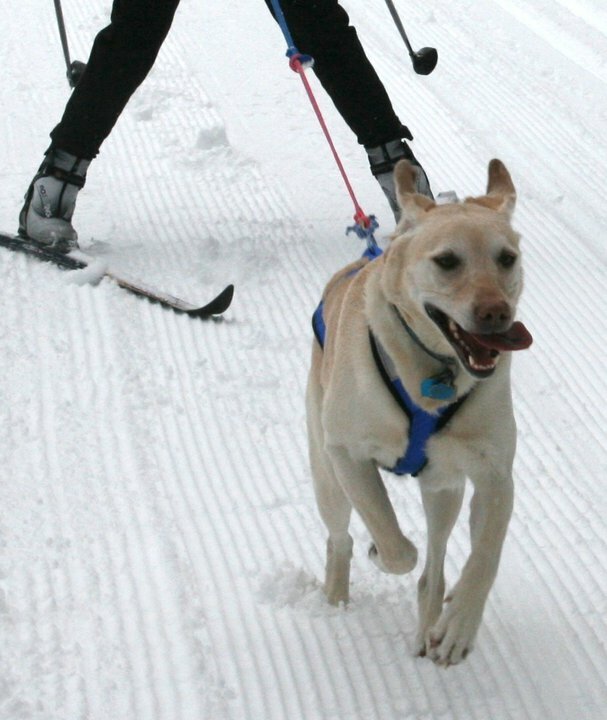 Regulations for off-leash hours are on the town website. Your dog MUST be under control and, even during legal hours, should not run up to people or other dogs that do not want to be approached. 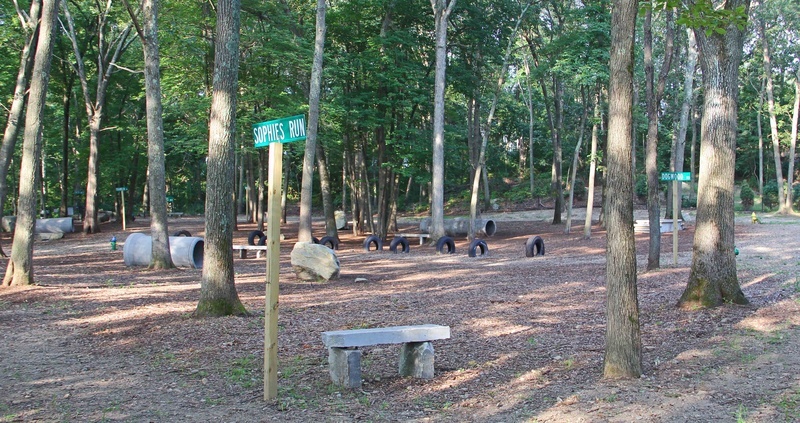 Thorndike OLRA, Arlington’s first dedicated fenced dog park is now open and is very popular with dog owning families and with people who love to bring their children to visit the dogs!. 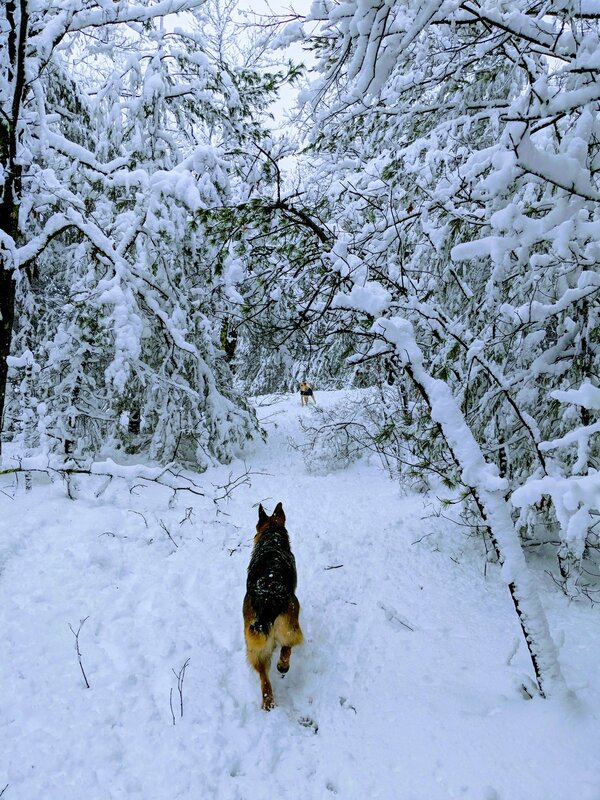 Check here to join our community and support the dog park, and the town website for regulations and other key information. Please make sure you have a dog that is friendly to other dogs before bringing her to the dog park! THE A-DOG WEBSITE BELONGS TO ALL OF US — PLEASE CONTRIBUTE YOUR COMMENTS TO OUR CONTENT! Welcome to our website! Please read our articles and enter comments wherever you’d like (there is a comment section after each article). We ask that you not post anonymously but that, instead, you sign your name, to encourage the most constructive dialog possible in our community. The comments are moderated and we reserve the right to not publish comments for certain reasons, such as no email provided. (This email address is visible to the moderators but not to the public viewing the site.) If a comment seems particularly rude and disrespectful, we reserve the right not to publish it and will try to inform the author by email with a chance to revise it. We will, however, do our best to allow, and encourage, comments representing all points of view on issues of relevance to our articles. We welcome submissions of articles on relevant topics for our Wags and Tags Newsletter, please contact us at the email given below with your proposal. Feel free to contact us at <arlingtondogowners@gmail.com> with questions, feedback, article proposals, or any other inquiry. 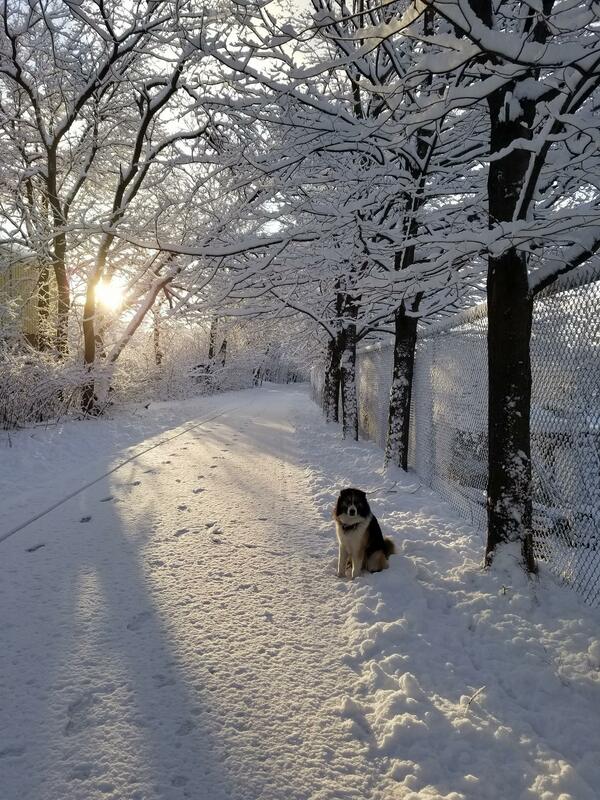 A-DOG Members shared their winter photos to celebrate Spring, 2018. 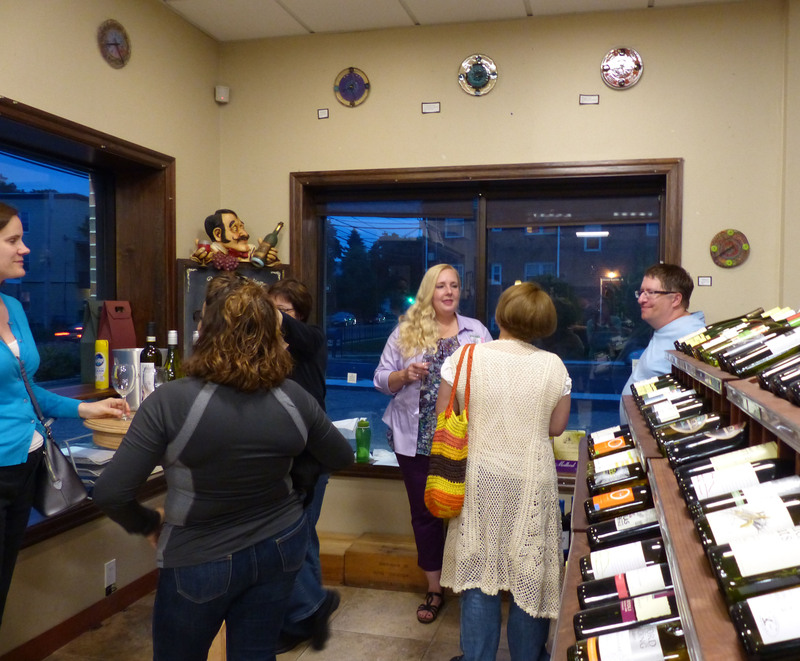 Photos from 2015 Whine and Wine Party! 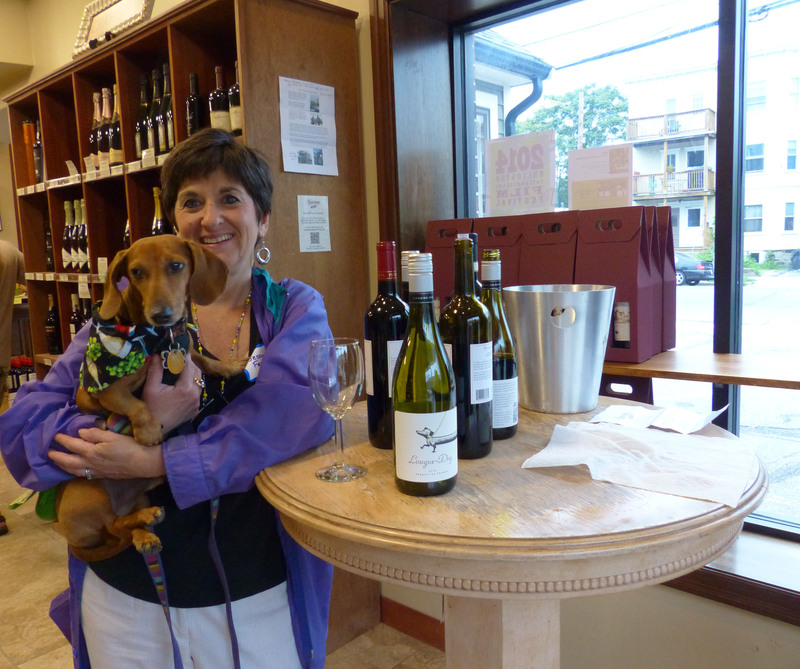 In June, A-DOG members and their dogs were treated to another “Whine and Wine” wine-tasting party at Friend of A-DOG, Menotomy Beer and Wine in East Arlington. 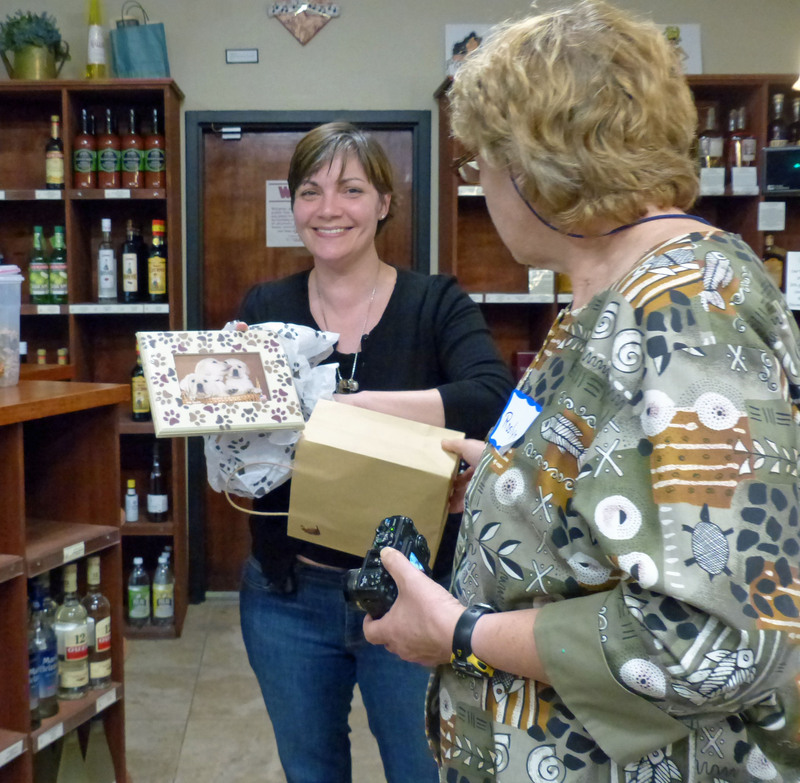 There were wonderful prizes, some donated by A-DOG board members. 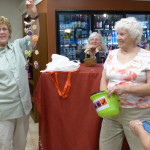 Joan and Dana Black donated prizes purchased from The Animal Rescue Site, an organization that helps provide food and care for rescued animals. 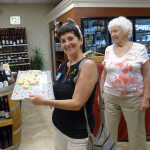 Vice President Ann Smith also donated some great prizes and Roslyn Smith prepared a delicious buffet of snacks. The dogs were tempted, of course! 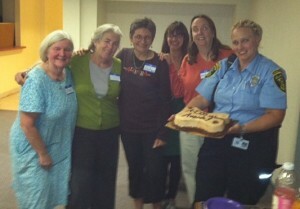 Thank-you, too, to A-DOG volunteers who helped at the event and congratulations to the prize-winners! 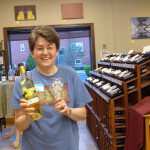 And, of course, to Menotomy Beer and Wine owner and A-DOG member Mary Parent and her colleagues for hosting us and pouring an excellent array of wines for a tasting. 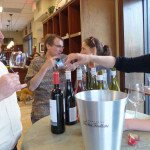 Don’t forget, members..mention A-DOG when you shop at Menotomy Beer and Wine and the store will donate 5% to A-DOG. We are repeating the contest we ran the last two years with our previous Animal Control Officer, Amanda Kennedy, who reported that last year’s licensing numbers were at a record high. We hope that our contest, to encourage dog licensing, played a part. We are now working with our new Animal Control Officer, Katie Kozikowski, on the 2016 Arlington Dog Licensing Contest! 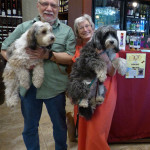 There are many good reasons for us to license our dogs in Arlington, as discussed below in the article by Amanda Kennedy. For example, the more ID that he has, the better the chance that a lost dog will be returned quickly to his owner. A very important reason, also noted in the article, is that Town resources for programs that benefit dog owners are best justified if the number of dogs living in Arlington can be accurately estimated. This is impossible if there is not a high level of compliance with the dog licensing requirements. Blue pottery A-DOG dog bowl with all natural, wholesome dog treats. Bowl, handmade by an Arlington artist, was donated by A-DOG. Treats were donated by Friend of A-DOG “Sit, Stay, Beg” Cookies. One year A-DOG full membership ($20 value, new or extension of your existing membership). Total value $85. Ceramic “Doggy” travel coffee mug donated by A-DOG. 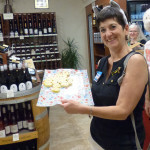 Gift certificate ($20) and one dozen meringues donated by Friend of A-DOG Magic Bites Bakery. One year A-DOG full membership ($20 value, new or extension of your existing membership). Total value $65. Everyone, whether you’re an A-DOG member or not, is eligible for both gifts! But, if you want to support this and future contests, please join A-DOG if you’re not already a member! We increased dog licensing by more than 25% in 2014! While this is great news there are still many dogs that don’t have a fashionable Arlington tag. Please continue to get the word out about all the benefits of dog licensing, primarily the ability to return your dog to you should it become lost. The 2015 dog license period begins on January 1st so hopefully you have all gotten your new tags. I look forward to the New Year with the wonderful Town of Arlington. Incredibly, there are an estimated 8,000 dogs in the Town of Arlington. Fewer than 1,800 of them were licensed in 2013. For a community that has shown such devotion to their dogs this is surprising and we can do better! 1. If your dog gets lost, a license tag on your dog’s collar is the fastest way to find you when your dog is found. Even if your dog is microchipped, a license tag is immediately visible and doesn’t require a scanning device to read it, like a microchip does. In addition oftentimes people forget to update the microchip information to reflect moves and change of phone number. 2. Licensing lets people know that your canine companion has received required vaccinations that protect your dog from rabies. 3. The number of licensed dogs is the official count of the number of dogs in our community. How can the Animal Control Department advocate for parks, off-leash areas and other positive resources when it seems we have fewer than 1,800 dogs? If we can show the 8,000 dogs living here, think how much could be accomplished. 4. Your dog’s license shows that you are a responsible dog caregiver. When you walk your dog or let your dog run in designated areas, people will notice the license on your dog’s collar and know that you really care about your dog’s welfare. Dogs without licenses carry a stigma of owner neglect. 5. It’s the law. You can be fined $50. Good citizens that care about the community get their dogs licensed. Don’t worry, there is no drivers’ education or road test required! Arlington Animal Control Officer Katie Kozokiwski may be contacted here. The “license and registration” cartoon (top) is by Arlington artist Shunsuke Yamaguchi and the artist’s fee was donated to A-DOG by Joan and Dana Black. 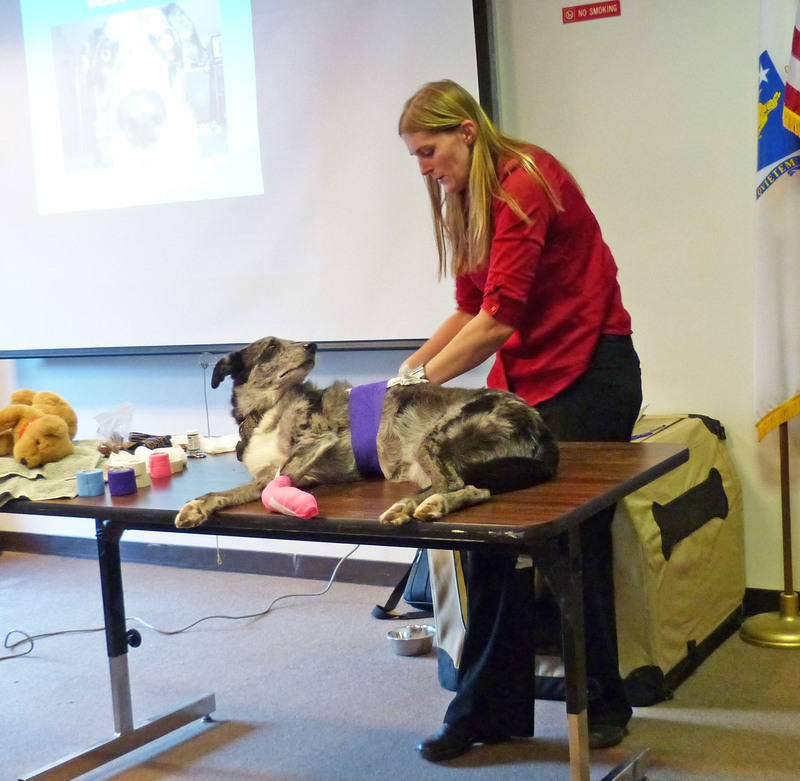 In November, A-DOG sponsored a free Pet First Aid/CPR workshop featuring Amy Breton, CVT, VTS (ECC) of Blue Pearl Veterinary Partners of Waltham. Amy generously donated her expert presentation, accompanied by her “demo-dog”, Meeko, a 10 year old Aussie mix who had assisted Amy with hundreds of workshops. 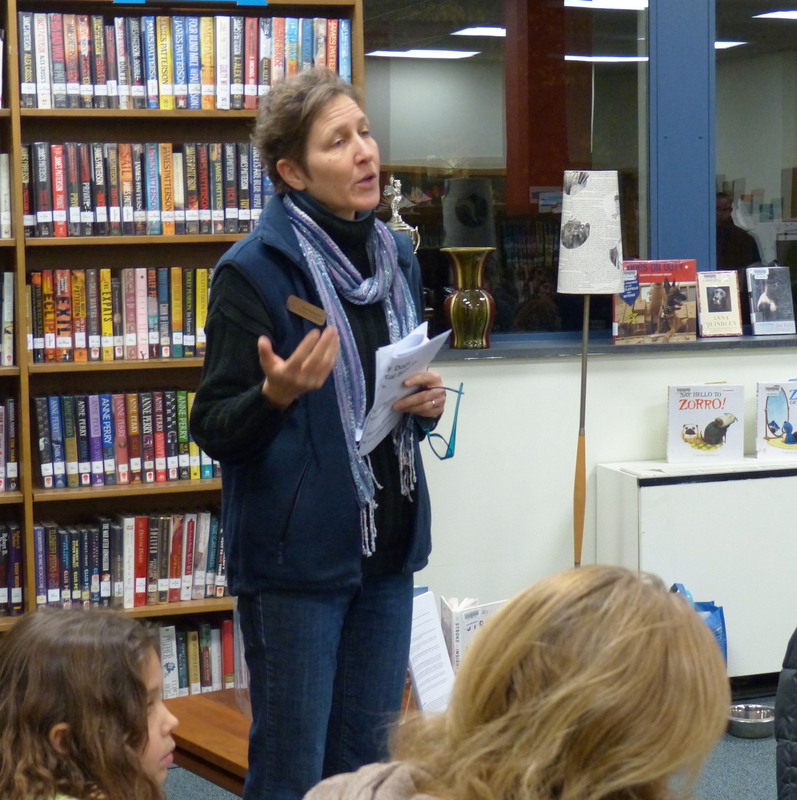 A-DOG board member, Mary McCartney organized the workshop. 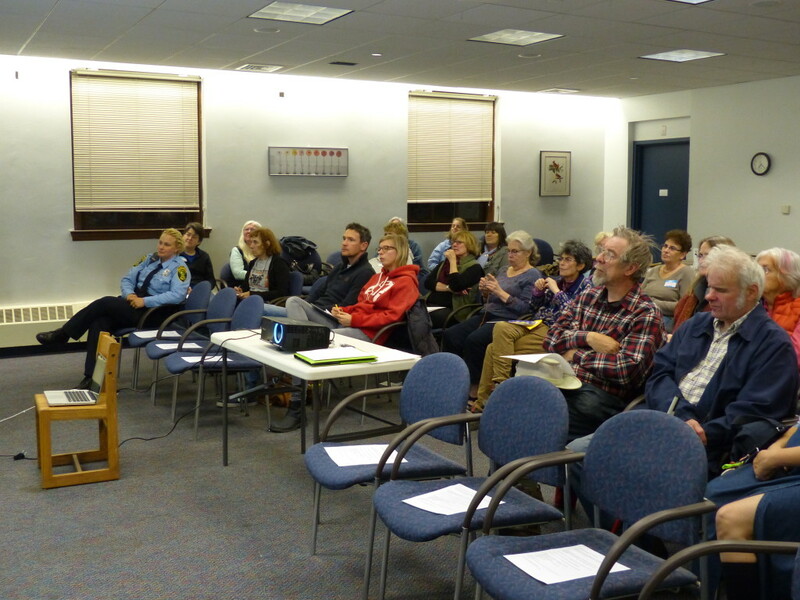 Arlington’s Animal Control Officer, Amanda Kennedy, helped Mary to arrange this valuable, potentially life-saving educational event, which was held at the, Arlington Police Department Community Room. 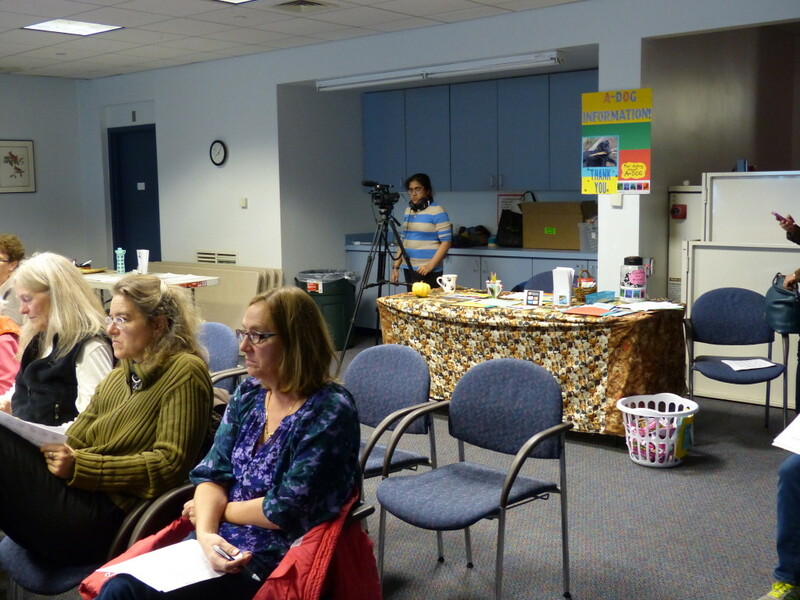 The room was packed with an enthusiastic audience of pet owners. While admission was free, A-DOG collected optional donations for two charities selected by Amy and Amanda. These organizations: Frankie’s Friends, a charitable pet foundation that benefits pets needing life-saving medical care and the Animal Rescue League of Boston that helps animals in numerous ways, including helping our own Animal Control Officer rescue injured pets or wildlife. 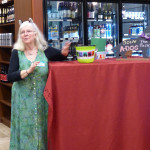 The event raised about $100 for these causes, and matching gifts from A-DOG enabled us to donate $100 to each charity. 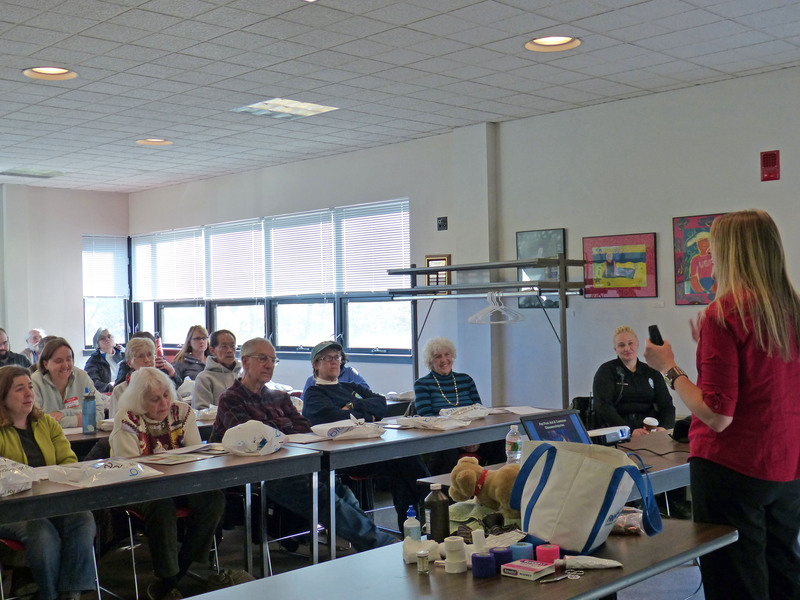 The presentation covered many topics essential to canine and feline first aid in detail (Amy also briefly touched on emergencies involving smaller pets such as rabbits, rodents and birds.) This included information to help owners identify emergency situations including abnormalities in temperature, pulse and blood flow. 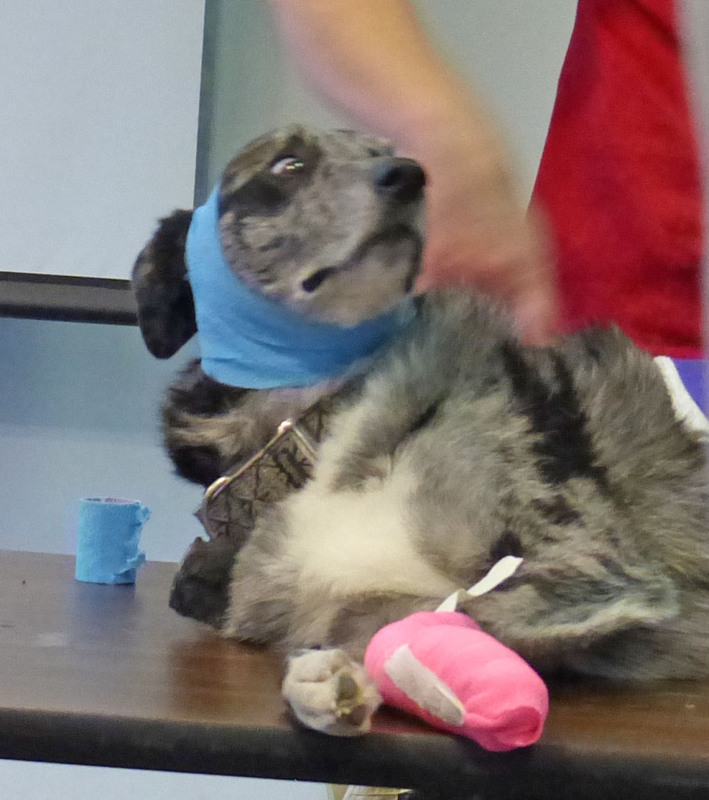 It also discussed how to stabilize injured pets, for example techniques for bandaging, and transfer them safely to the emergency medical facility. Rescue measures such as CPR and Heimlich techniques to dislodge foreign objects in choking situations. However, Amy stressed that, in such situations, it is critical to provide whatever first aid you can but seek emergency professional care as soon as possible. This very thorough two hour workshop included demonstrations of bandaging, CPR and other techniques on the very patient Meeko! 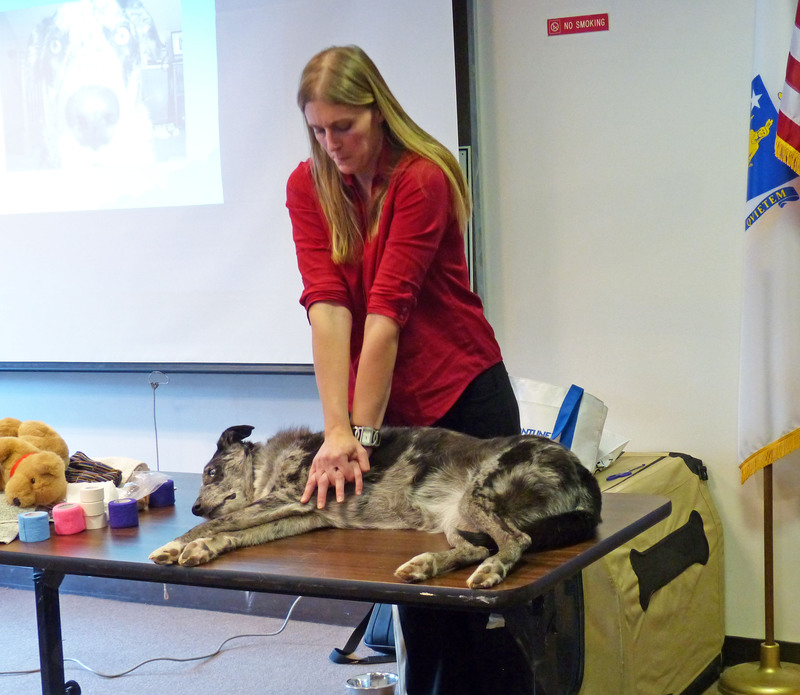 Photos: Bandaging demo with Amy and Meeko (above); Below: Mary introduces the event; A full-house audience in the community room; and more workshop photos. 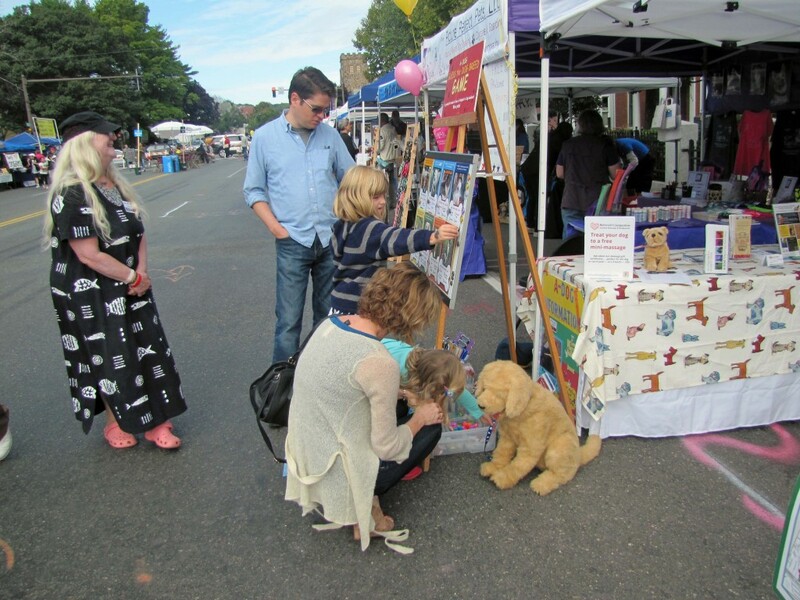 Town Day 2014: As fun as ever! 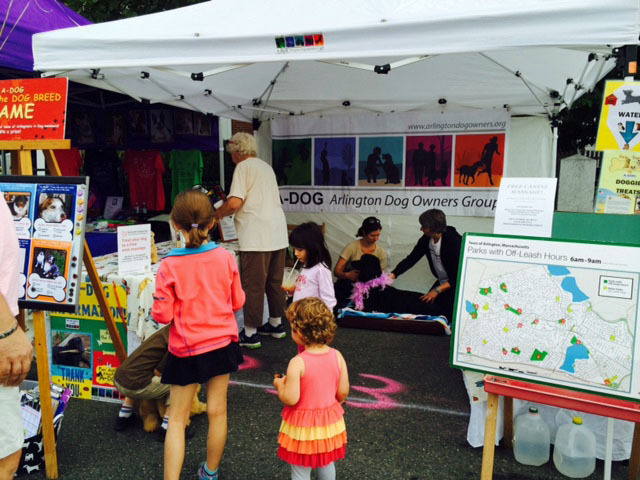 A-DOG sponsored its popular booth at Arlington Town Day for the 7th year in a row! 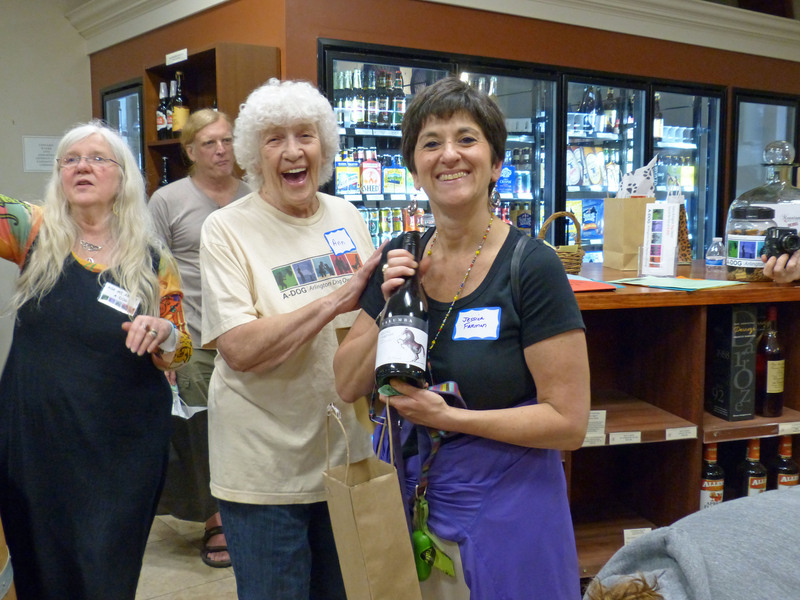 Thanks to all volunteers who made it possible, including Joan Black (shown at left), Ann and Roslyn Smith and other A-DOG members who showed up to help make the booth a success! 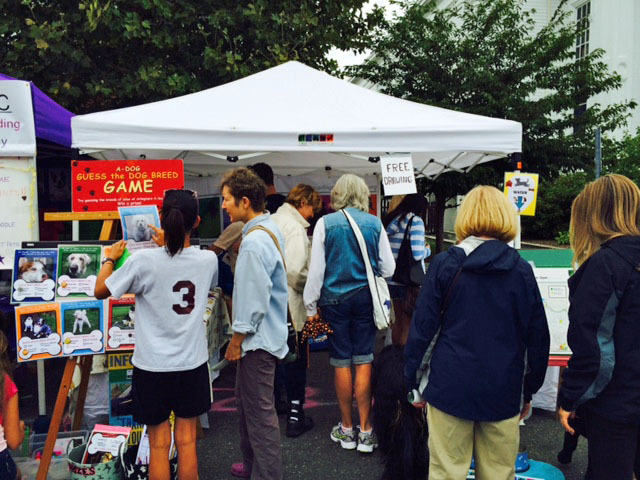 And, thanks to all the visitors who stopped by, enjoyed our games for kids, a free canine massage (see below), entered our free gift drawing (see below) and obtained information about A-DOG and recreational options for responsible dog owners in Arlington. 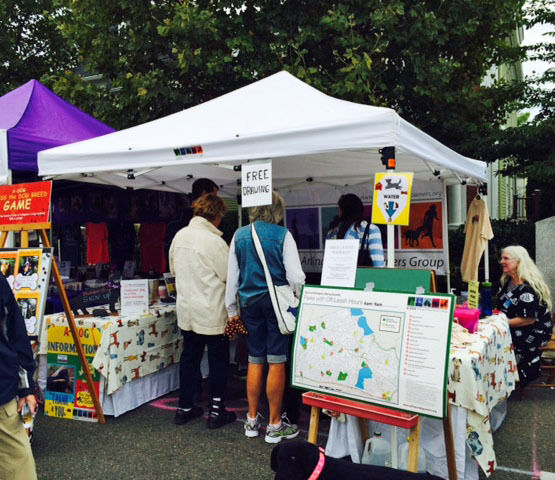 Thanks to Friends of A-DOG Businesses and other supporters who donated goods and services to the event. 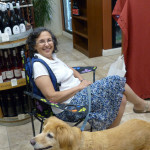 This includes Janice Zazinski of Beloved Companion who offered free canine massage at our booth. 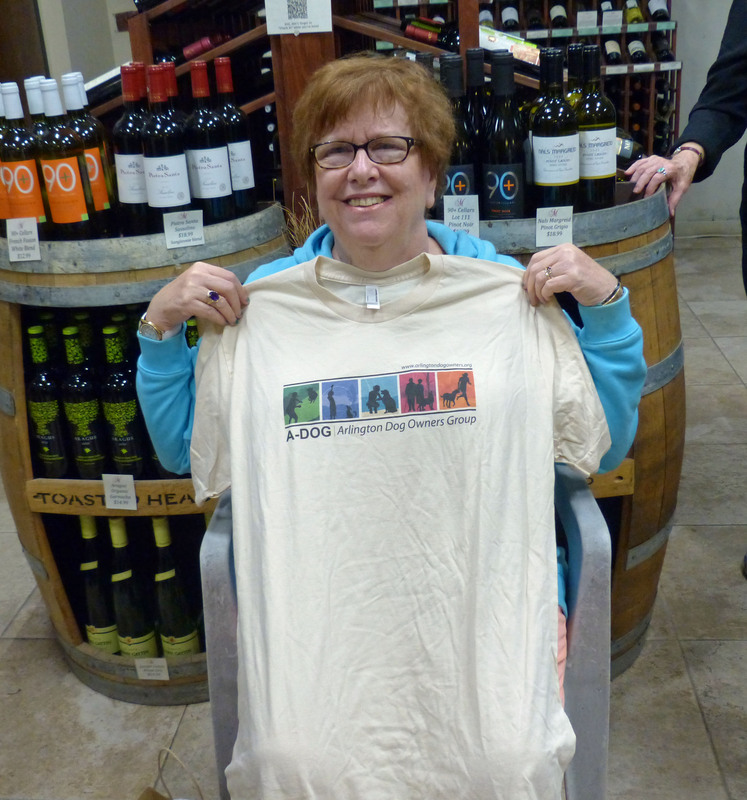 Congratulations to Lizzie Casanave and family, who won the gift bag in our free drawing! Cost: Free. Optional donations to dog-related charities will be accepted. Preventative care through your primary veterinarian is the best tool for identifying potential ailments, but accidents and acute illness can pop up at any time! This fully interactive session is designed to teach you–the pet owner–the basics behind the most common pet emergencies. Awareness of hazards and recognition of distress signals in your pet can be critical in stabilizing an emergency. The instructor will be demonstrating techniques on her own pet dog. Please leave your pet dog at home. Amy Breton, CVT, VTS (ECC) is a veterinary technician who is board-certified in emergency critical care. She has been teaching classes throughout the state for 8 years and at one time was an instructor for MEMA who went around to local fire departments and police stations to teach them how to handle pet emergencies. She has also taught classes at Logan International airport for their first responders in case there was a pet emergency there. 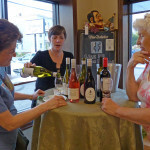 Event is organized by A-DOG board member Mary McCartney. Our thanks to Amanda Kennedy, Arlington Animal Control Officer, for helping with arrangements particularly the APD Community Room venue. 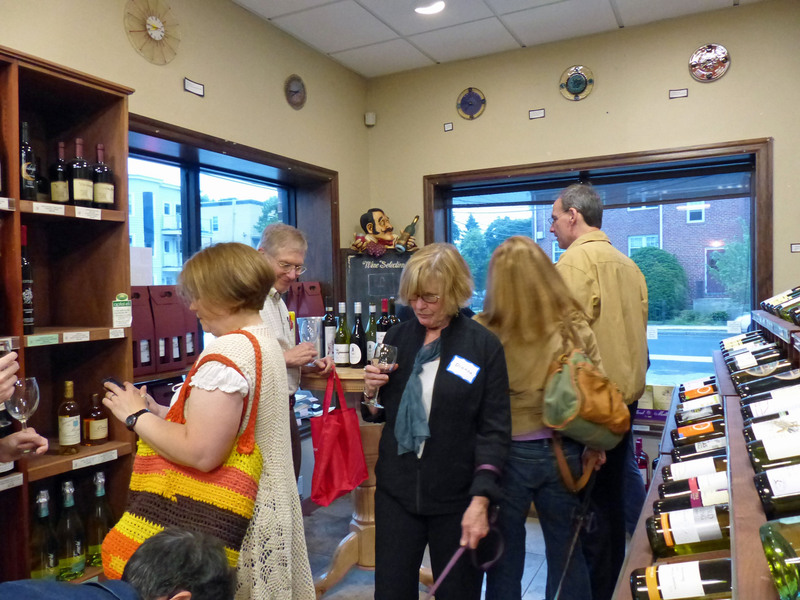 Third Annual Summer Wine Tasting Event! 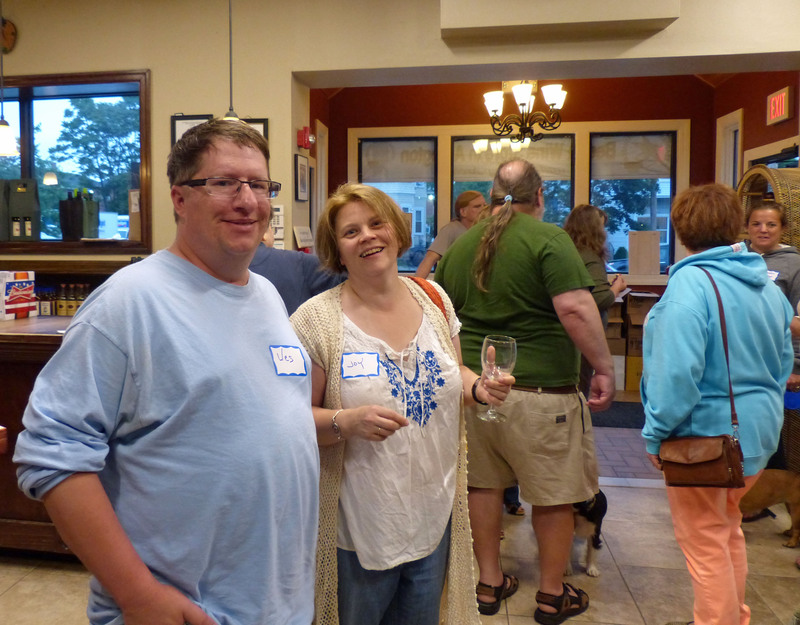 A-DOG’s 2014 summer membership celebration, a “Wine and Whine Tasting” at Menotomy Beer and Wine was fun! Hope you can join us next year! Here are some photos. Who Wants to be a Therapy Dog? This article is by A-DOG member Sue Gilday who is one of three A-DOG members who, with their dogs, recently completed training through Dog B.O.N.E.S., Therapy Dogs of Massachusetts. The A-DOG therapy dog teams are: Sue Gilday and Sasuke; Sue Doctrow and Candace; and David White and Benny. Your dog has to be a certain size. I had thought that the ideal therapy dog had to be big enough so that a person sitting in a wheelchair could easily reach its head. Our class consisted of dogs ranging from an 90 lb. goldendoodle to a tiny 15 lb. cavalier king charles spaniel. People can pick up therapy dogs and hold them in their lap if they wish, in which case, the littler the better. You have to have a perfectly trained dog. Sure, in the ideal world we’d all have perfectly obedient dogs. 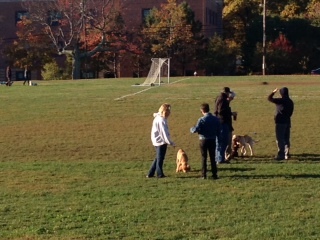 Most of the dogs in the class were really distracted by the other dogs and forgot the most basic commands. 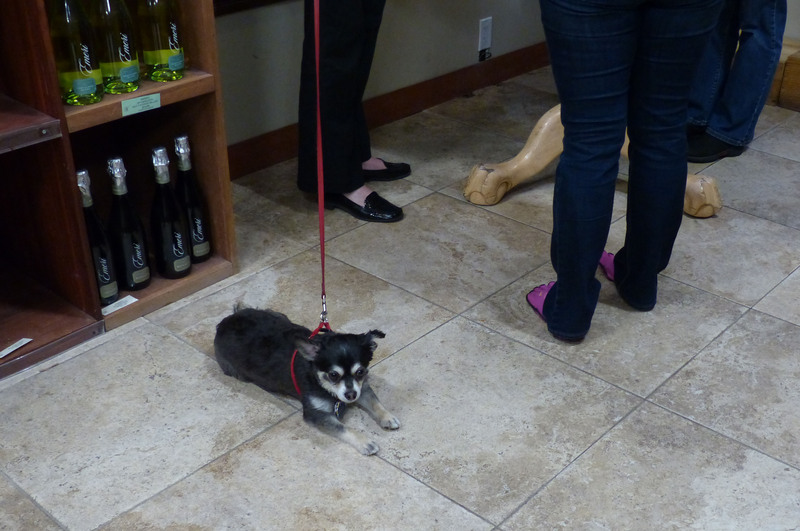 As long as your dog attends to you and can behave on leash, you’re good. Therapy dogs have to be smart. Nope–they’re not service dogs. All they have to be is cute and sweet. And unlike service dogs, they can be petted. In fact, that’s their main job. The class is for your dog. Therapy dog training is actually more for the human than it is for the dog. In class we learned how to approach people in wheelchairs or walkers, what to talk about, the kinds of questions that may come up during a visit. 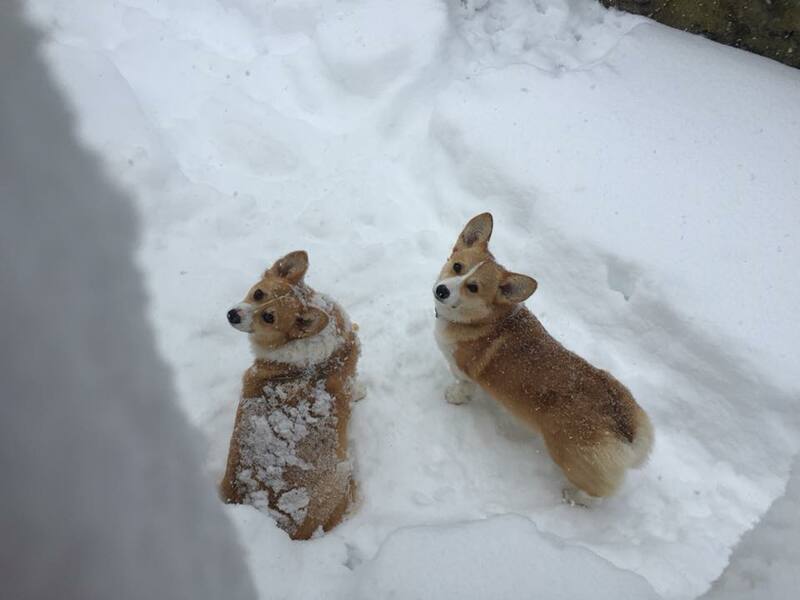 The dogs pretty much sat there and wondered why they didn’t get to romp around with the other dogs. Your dog must be adaptable to any situation. This was a good thing to know: not every situation will be right for a dog, and we have to gauge our dog’s response to each visit. My dog gets slightly wigged out around little kids because they tend to move unpredictably. So we’ll likely avoid such visits. You may plan nursing home visits only to find that your dog needs more activity. Its OK–there are so many opportunities for different types of visits. At least one is bound to suit your dog’s taste. All visits involve the infirm or disabled. Among the opportunities that I’m most looking forward to are visits to colleges where therapy dogs offer stress relief to students during midterms or finals. 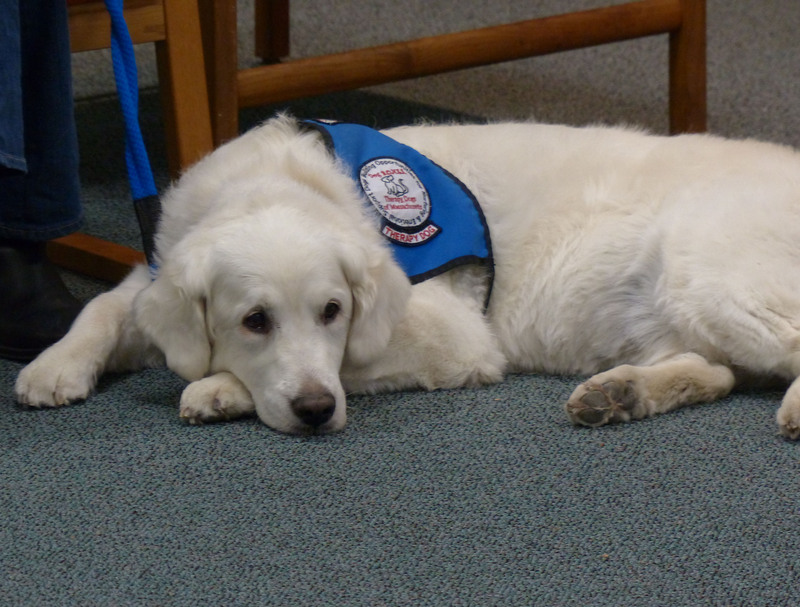 A request recently came in to talk to a cub scout troop about what therapy dogs do. Another opportunity (for which you need additional training) is to be a reading buddy to young readers. It’s difficult to obtain therapy dog certification. Well, Sasuke and I graduated, so how hard could it be? Three 90 minute classes and a straightforward test to demonstrate how well you handle your dog. After that, we got a certificate, an official Dog B.O.N.E.S. bandana (for Sasuke) and a T-shirt (for me). 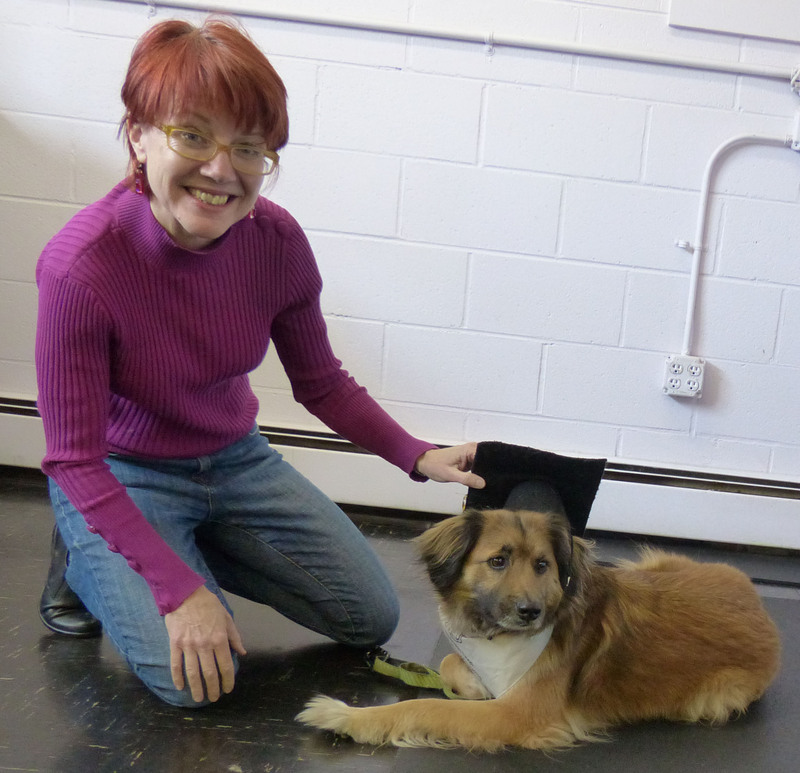 Oh, and the requisite graduation photo–mortarboard and all! Now that we are a card-carrying Dog B.O.N.E.S. team, our real test will be out there in the real world. We can’t wait to get going! Stay tuned for updates on our first few visits. Election Information — Be Part of the Process! 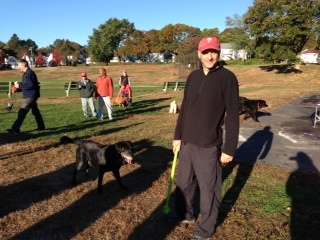 Arlington has legal off-leash morning hours because of a very close vote in the 2010 Town Meeting to amend the Animal Control bylaws to allow off leash morning dog recreation. 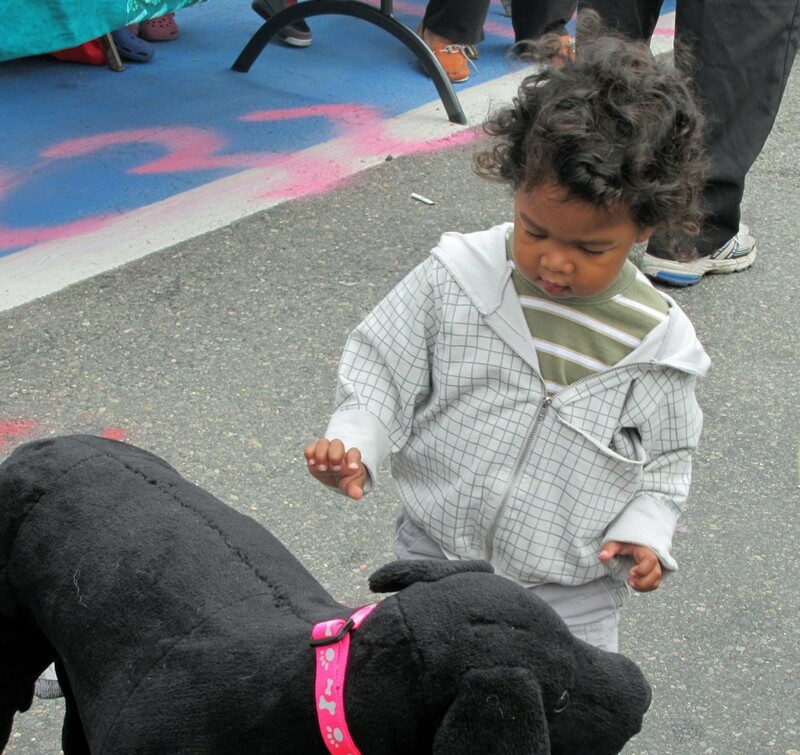 This success came after two consecutive years where off-leash hours was rejected in Town Meeting votes. 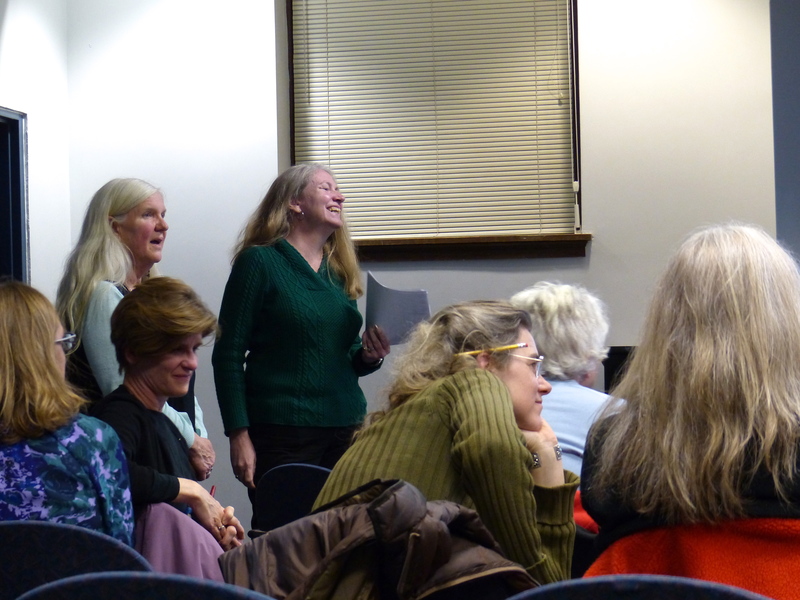 A-DOG members who are also Town Meeting Members sponsored this successful vote and advocated for it at Town Meeting! 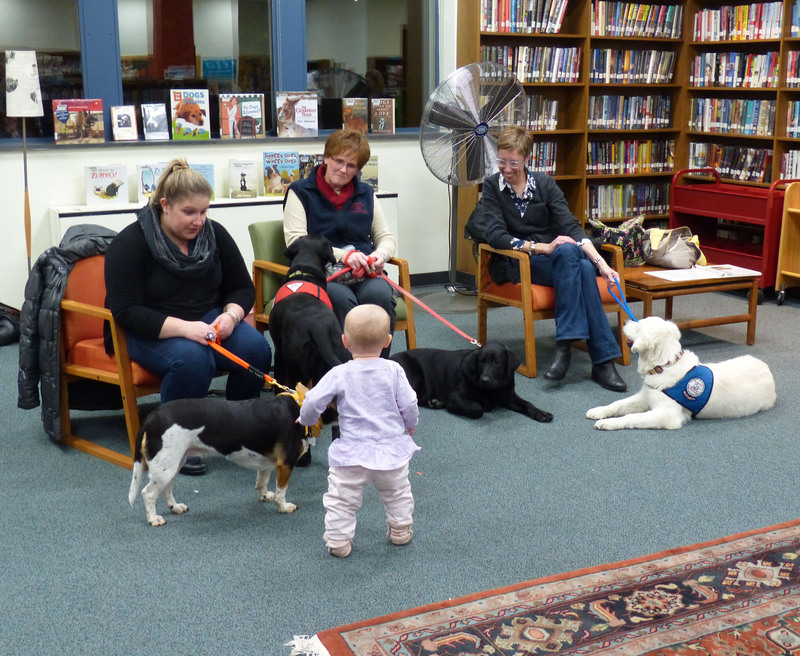 After years of debate on this controversial topic, we believe that it was finally successful because A-DOG members became activity involved, including many becoming Town Meeting Members! 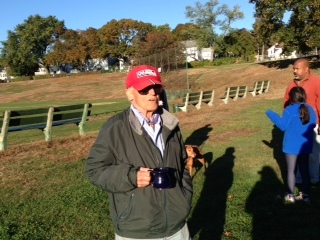 Arlington has a fenced dog park at Thorndike Field because in 2003/2004 Town Meeting voted to amend the bylaws to allow such entities. 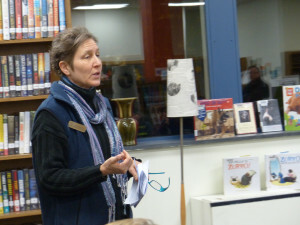 Then, 2011 Town Meeting voted to appropriate $25,000 in capital funds to cover 10% of the cost of building the dog park (with the remaining 90% funded by the Stanton Foundation grant). 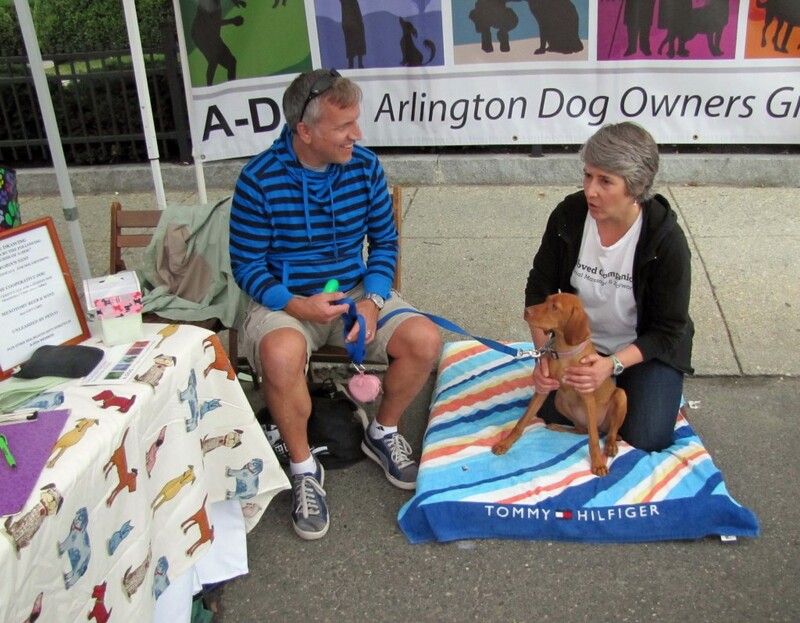 At 2009 Town Meeting, there was a successful vote, suggested by a resident who was an active opponent of off leash recreation, to increase Arlington’s dog license fees and to institute a costly late fee (that was phased in and is now $50). At 2011 Town Meeting, based on a suggestion by another resident who’d had a bad experience with one dog jumping on her mother, there was a successful vote to increase the fines for illegal off-leash activity dramatically, eliminating an initial warning and setting fines for $75 to $200 per incident! The ballot has already been finalized for the April 5 vote (link will be given below). So, it is too late to get your name on the ballot for this year. This would have required filing papers with signatures (10 to be a Town Meeting Member) in advance. However, if your precinct has a vacancy, you can still become a Town Meeting member this year through the write-in process. First, ensure that you know your precinct number. Arlington has 21 precincts, determined by street address. Though difficult to read, there is a Precinct map on the Town website. Easier to read is the Precinct Street List made available as a pdf on the A-DOG website. Once you’ve identified your precinct, check the Town Ballot 2014 available on the Town website and also, for your convenience, as a pdf on the A-DOG website. 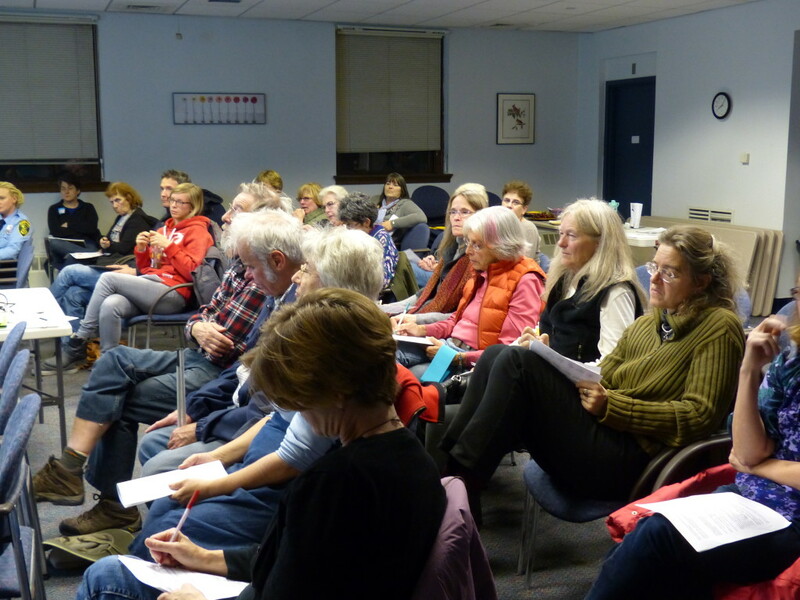 Scroll down to the Town Meeting Members ballots for all the precincts. If your precinct has “NO CANDIDATE FILED” that means a position open, and you can run as a write-in candidate! Running as a write-in candidate is simple. Go to the polls on election day (or, if you won’t be in town, fill in an absentee ballot) and write your name and address in the empty spot under Town Meeting Member. Ask your friends, neighbors and family who are voters in your precinct to write in your name and address as well. If you have enough time, have stickers made with your name and address that you can hand out to voters to make it easier for them. The Town Clerk’s office will provide guidance on sticker sizes that will fit on the ballot. Whether or not you use stickers, be sure that your name is spelled in the same way that it appears on the voting registration. Several Town Meeting members joined Town Meeting for the first time this way, some with only one or two votes! But, to give yourself a better chance, try to recruit as many other voters to write you in as possible. Of course, be sure that you are registered to vote and that you know where your polling place is. Again, the Town Clerk’s website or office is the best resource. Learn about all the candidates for town wide office by reading their websites and watching the recent candidate debates on Arlington Cable (see ACMI Candidate Debate Videos). Do not be shy about contacting the candidates by email or phone to ask how they feel about issues that are important to you. You are their potential constituents! Besides Town Meeting, the other office that has significant impact on issues of direct concern to dog owners is the Board of Selectmen. This is the 5 person executive branch of our Town government. This year, there are three candidates running for two seats. For more information, feel free to contact us (info@arlingtondogowners.org) with your questions. But, most of all, get involved, VOTE and, if possible, try to get yourself elected by write-in to Town Meeting this year! Once you are elected, you will be able to notify the Clerk as to whether you will accept the appointment and will have plenty of time before Town Meeting begins, on April 28, to have your questions answered. 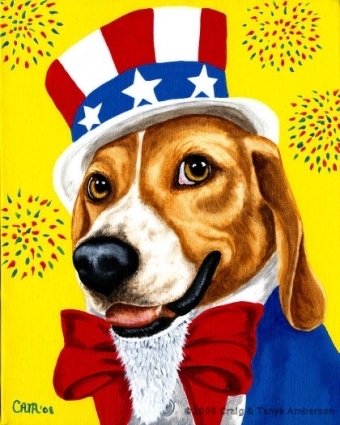 A-DOG has quite a few Town Meeting Members already and we will be happy to help you get ready! Town Meeting runs every spring, meeting at Town Hall on Monday and Wednesday nights (this year beginning April 28) until the business of the Town (as described in the Warrant, which acts as an agenda) is complete. This generally is only a few weeks. 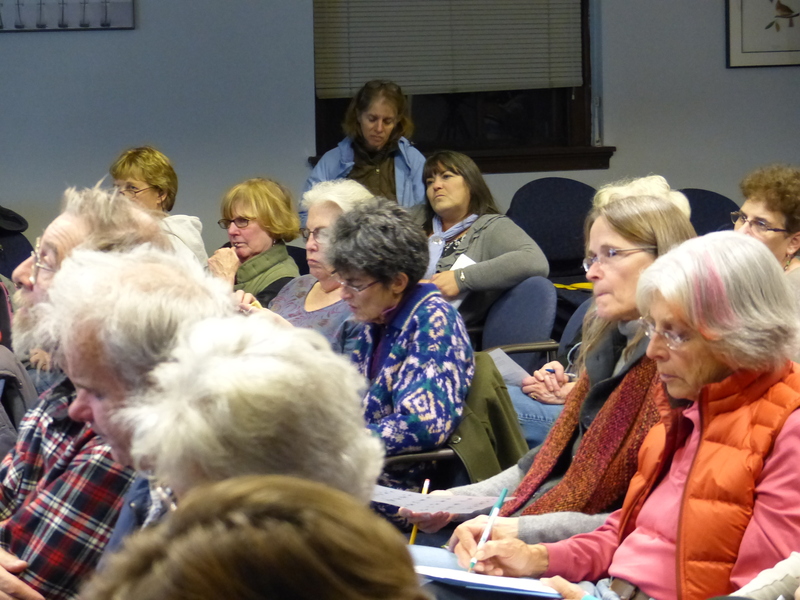 If there is a Special Town Meeting at another time during the year (this is relatively rare) Town Meeting Members will be asked to participate again. As many A-DOG members are also Town Meeting members I am reaching out to you to be sure you understand the Community Preservation Act (CPA). I am working with a small group of individuals trying to bring The Community Preservation Act to 2014 Town Meeting for adoption. 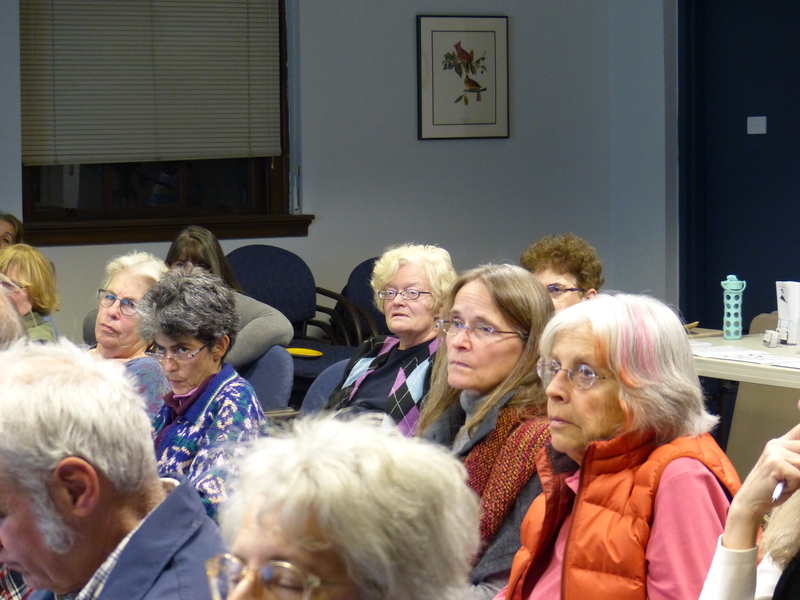 (If Town Meeting votes in favor of the CPA, it will then be put on the ballot so that the voters can decide whether Arlington should adopt the CPA.) This link gives an overview of the Act. This flyer explains how a small property tax surcharge ($86 per average household per year) could generate a significant amount of funding to use on open space, parks and outdoor recreational facilities, historic preservation and affordable housing. So, think new dog parks, Thorndike Dog Park improvements, Menotomy Rocks Park and the Arlington Reservoir improvements to name a few parks/recreational facilities which could use the funding. The Town of Randolph received funding from their CPA to create a new dog park in 2011 and again in 2013 to plant a screen of mature trees along the edge of the park. The state provides an annual match to the fund. Last year it was a 52% match. 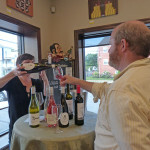 Arlington could be looking at collecting over $1M each year to spend as the community sees fit. The State match would increase that amount significantly. Please read the information on the links for more specific information. I hope that A-DOG will support the adoption of the CPA and that Town Meeting members who are also A-DOG members will stand up and support the adoption of the CPA at Town Meeting. Please contact me for more information and discussion. Notes: This article represents the opinion of the author, an A-DOG member, and not an official position of A-DOG. The Board of Selectmen has now voted (4-1), in their March 10 hearing, to recommend that Town Meeting vote in favor of the CPA. Their draft recommended vote is here. A report from the Town Manager to the Selectmen, describing possible projects the CPA might contribute to, is here. • Regular massage keeps your active companion – of any age — in top condition and helps prevent muscle strain from overuse. • Along with veterinary care, massages help young animals suffering from hip dysplasia and other structural issues retain function and comfort. • Animals that have been injured or have had surgery often need rehabilitation to heal and return to their active lives. Small animal massage can play a significant role in this rehabilitation process by helping to reduce pain and swelling, expedite healing, and maintaining muscle tone. • Massage stimulates the parasympathetic nervous system, thus promoting relaxation and decreasing anxiety. This is beneficial for newly-adopted animals, as well in households that are in transition because of issues such as a new family member. 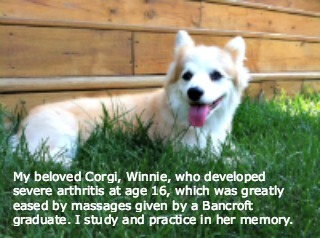 • In senior animals, massage helps keep joints and soft tissues flexible. Massages are approximately one hour long (including an intake) and are conducted in your home, by appointment. (During the first massage, you should be home and plan to stay in the room.) If you are a client of Mill Brook Animal Clinic, I can also do the massage there on Tuesday or Thursday afternoons. Although I am an intern, I am insured to practice massage on your companion. So why not treat your furry friend to a free massage that feels great and can enhance her health? Contact me at 617-323-3349 or at janice@belovedcompanion.com to set up an appointment or for more information about me or massage. I look forward to meeting you and your beloved companion very soon. 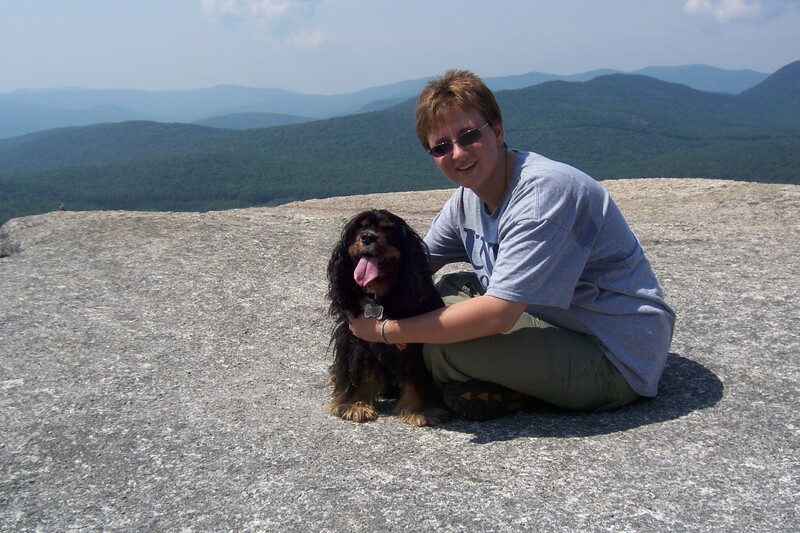 This tribute was written by Ellen Duranceau, about her beloved dog, Isabel. Our hearts are with Ellen, our A-DOG Board colleague and friend, and her family. My dear Isabel died suddenly of congestive heart failure, a disease common to Cavaliers, on January 15th. She was ten and a half and had been with my husband, daughter and I since she was 10 weeks old. 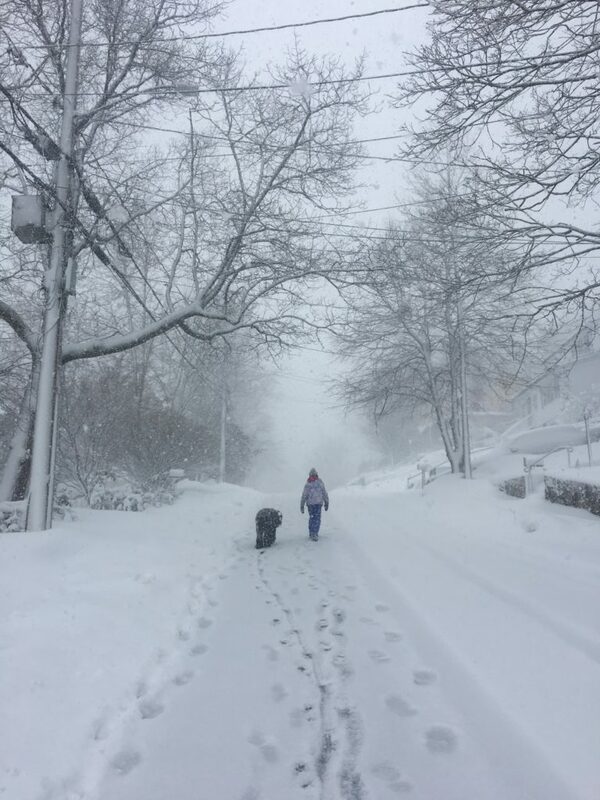 She lived her whole life in Arlington, in the Turkey Hill neighborhood, where she had many friends, canine and human. She lived an exemplary life, quietly guiding me every day in how I should live- – just by being herself. For 10 and a half years, every single day of my life, Isabel brought joy and love, overflowing. There was never a down day, a hard day, or even a mixed day. There was not even a mixed moment. Isabel never chewed a shoe, had an accident (unless ill), made a mess, or got grumpy. Secretly, she learned how to retrieve my socks from the hamper without tipping it, and I would find her after my day at work in her special chair in the sun room, sleeping with just one of my socks. She didn’t chew it or slobber on it. She simply kept it by her. It melted my heart, every time, to know she went to such trouble to have something of me near. She always greeted me joyously, tail awag, with a stuffed chipmunk or squirrel toy in her mouth. How I loved that greeting – her soft face, smiling around a fat chipmunk, as happy and proud as if she’d caught it herself. We shared a love of the woods, Isabel and I. Unlike other family members, I did not have to coax or convince her to take to the woods with me. We shared hundreds of hikes at the Fells, many runs there (until recent years), and she hiked seven 4000-footers in the White Mountains with me, when she was 8 and 9 years old. 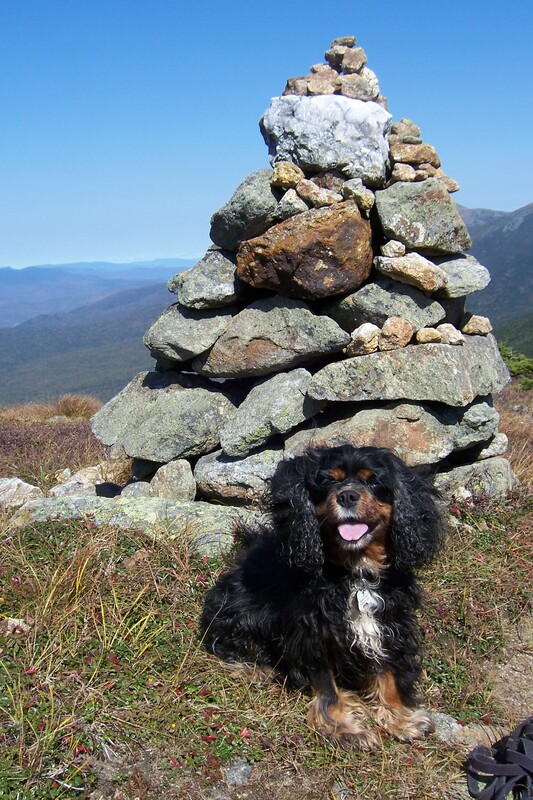 People were amazed to see her small self atop these tall, tall mountains, and she inspired at least two families to start hiking with their Cavaliers. One November we hiked in unexpected snow to the top of Mt. Pierce. In the whiteout conditions I was desperate to get off the summit, but sweet little Isabel, despite being covered in and nearly immobilized by ice balls, was rolling in the snow in 40 mile per hour gusts with great pleasure, as if in her back yard. Last winter, when I tried a supposedly “solo” hike, I cheated. Isabel was there with me on Mt. Watatic, and I was anything but alone. 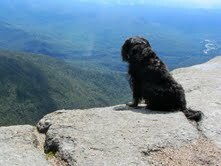 We shared great joy on mountain summits, where she, like me, preferred to sit quietly and gaze out at the horizon. I could feel and see her excitement when she was on the trails. She might drag on the sidewalk, but take her to the woods, and like me, she’d light up. I knew how important it was to allow her to express her nature and run free, and accepted as a reasonable price the many times I went crashing through the trees after her when she was young and quick, and would chase squirrels with no thought of where she might end up. 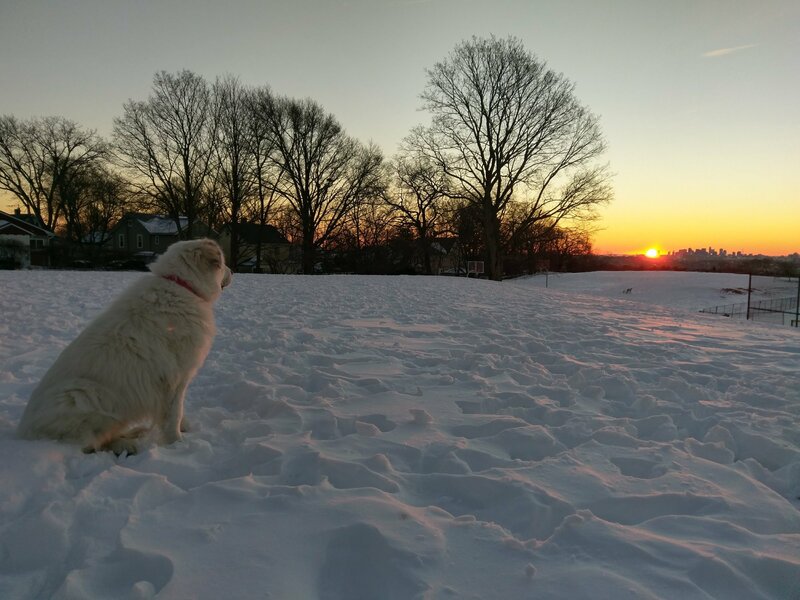 She mellowed in recent years, and we could amble together at Arlington Great Meadows without any worries of her getting lost or chasing critters too far. She had slowed, and it was clear her hiking days were over. I struggled against that reality for some months, but found an acceptance of our new pace and life together. Every Saturday and Sunday, at the Reservoir and Great Meadows, we made our quiet meandering loops, stopping to sniff (Isabel) and look (me). I relished those walks as high points in my week, rain or shine, cold or hot. She didn’t really like rain, but she would go out in it, for me. She didn’t really love running – walking was more her speed – but she would run, for me. In fact, Isabel is the reason I found running again, after a period where fear of injury had side-lined me. She loved her food –how she loved her food, and her nightly greenies!– and she tended to put on weight. So I started running with her, just a mile or so at first, to keep her trim, though at her peak she once ran 15 miles with me. If not for Isabel, I never would have run the Boston Marathon. We played ball every day, a special game only we shared. I wanted her to run more, to keep in shape, but Isabel needed a little motivation to run. So every time she ran for her ball and brought it back to me, I gave her a treat. We played this treat-and-ball game at Stratton or Turkey Hill morning and night, every day. In the early years, the ball kept her focused so she didn’t lose herself running for bunnies. More recently, she tended to run for the ball, but walk it back. Always, though, our game – perhaps 20 throws a day, for 10 years – was our special connection, something just for us, though she would play the game with neighborhood kids if I asked her to. Shy and unassertive around other dogs, she would never protect her ball. In fact, she would drop it if they came near. So I protected it for her, though I see now – funny it never occurred to me before – that perhaps she didn’t think it needed protecting. Perhaps it was only I that was afraid it would be taken, while she was happy to give it away. That was Isabel. 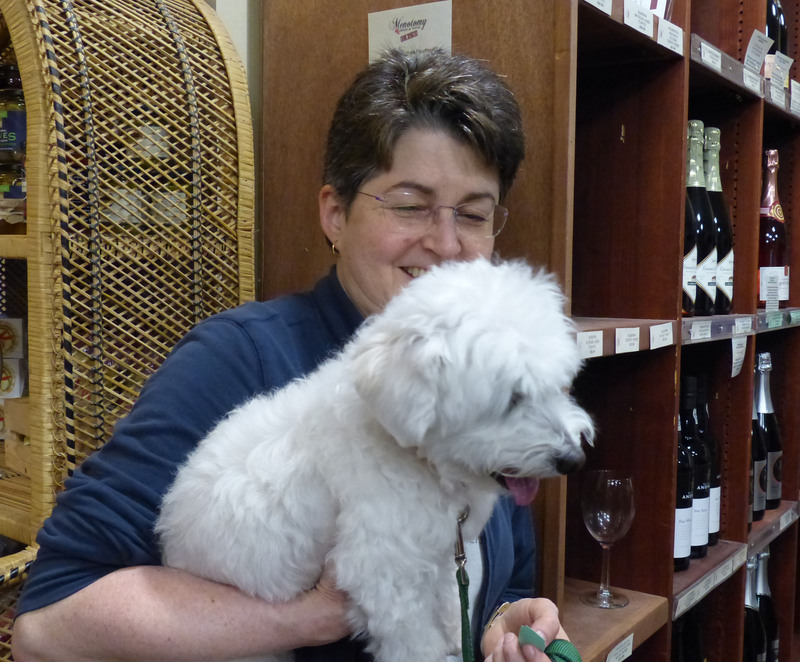 Isabel started out extroverted (at least with people), and became a certified therapy dog when she was still a puppy. She was happy on our therapy dog visits to nursing homes for many years, and lifted many a spirit in those days with her large expressive eyes and incredible sweetness and gentleness. Then at some point, she became more introverted, and I struggled with whether she was going along, again, for me. Isabel was that kind of dog. You had to watch out, because she would do all kinds of things if you asked her to, out of love, out of generosity. That was Isabel. I know, because that’s not my nature, and seeing it in her, I valued and cherished it, every day. Isabel was super smart, though she played that very low key. She learned any cue in minutes. Her favorite: the “where’s skunky” game – where she found enormous satisfaction in waiting for me to hide her toy in another room, and then find run and find it – for a treat, of course. She did agility in the backyard, learning the equipment with ease. And she loved solving her swedish Nina Ottoson puzzles, filled, as they were, with yummy treats. Though stunningly beautiful, Isabel was easy for some to overlook. Dark, shaggy, retiring, and quiet, people often passed over her and focused on perky Jasper. But Isabel didn’t mind. She seemed to prefer when people didn’t fuss over her. She was a peace-maker, and she didn’t need the spotlight. She quietly shared her pure, unalloyed love with her family and her band of buddies: Andy, Penny, Nellie, Leo, Hannah, Rupert, and her newer friends Aiden, Marley, and Mr. Pudge and Coco Chanel. She had a soft spot for Rambo, too; how she loved the boys. Of everything that has happened or will happen in my life, the chance to share 10 years of it with Isabel will always be one of the very very best things that my life has offered, or can offer. She was a best friend, faithful and loving companion, a trusted partner, and an inspiration to me to be my best self. I am deeply grateful for my time with her. And in the end, though she left me much too soon, Isabel found a way in her parting to give me one more enormous gift—I didn’t have to choose when she left me. I want to extend a special thanks to A-DOG for making this memorial possible, and particularly to President Sue Doctrow, whose offer to post a piece about Isabel has helped me so much with healing. I also want to thank A-Dog member Ellen Kravitz, for her compassionate support in wrestling to the ground the many “what-ifs” involved in Isabel’s last days. It is in times of crisis, as well as joy and celebration, that we can see so clearly the incomparable solace of community and connection. 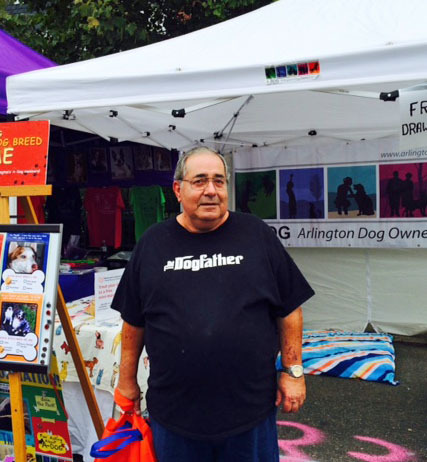 I so appreciate the role A-DOG plays in Arlington, bringing local dogs and their people together and providing support in good times and hard times, too. Thank you. There are many good reasons for us to license our dogs in Arlington, as discussed below in an article by our Animal Control Officer. For example, the more ID that he has, the better the chance that a lost dog will be returned quickly to his owner. 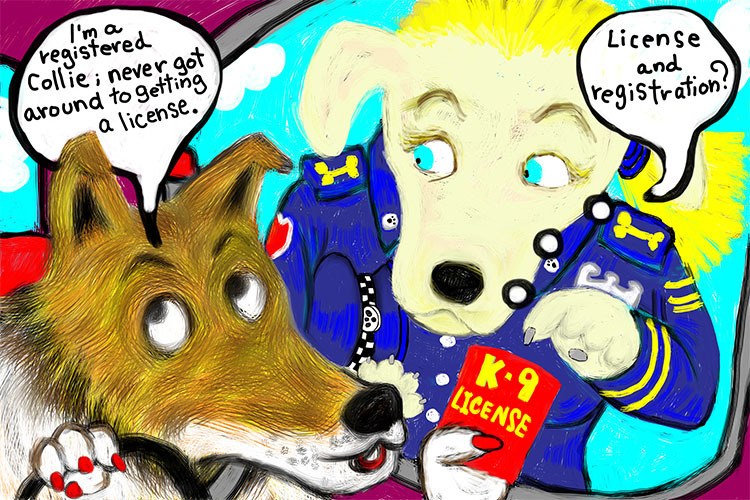 For reasons such as these, A-DOG encourages its members to license their dogs. The license is obtained through the Town Clerk’s office as described here. To make this more fun, we are holding a contest! To be eligible for the baseline gift drawing, all you need to do is register your dog anytime by February 28, 2014. We will draw tag numbers from all the 2014 tags that were registered with the Town by the deadline. (If you’ve already gotten your 2014 Arlington Dog License, you’re already entered!). 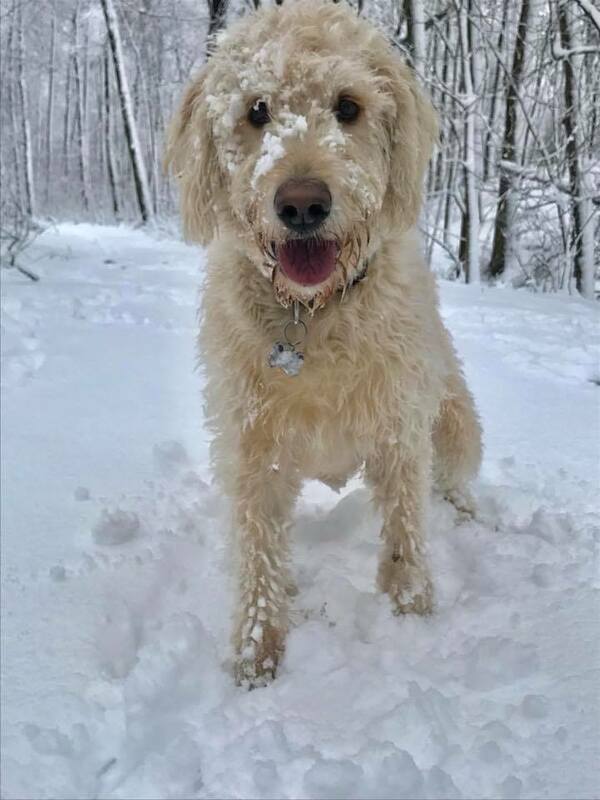 We will select two numbers and award two prizes, donated by Friends of A-DOG Businesses: A “Spring Cleanup” Grooming Package (value $35) from GoPlay! 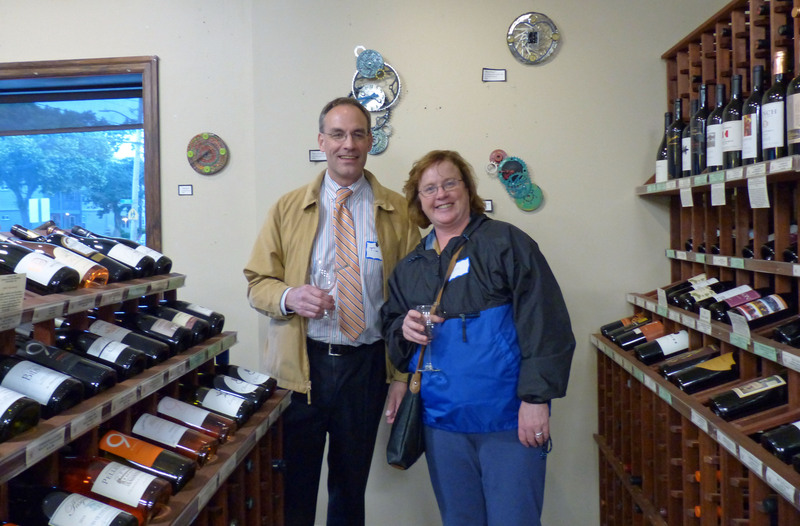 and a Gift Certificate (value $25) from Menotomy Beer, Wine and Spirits! AND, any winner drawn who is also an A-DOG full member with dues up to date will also get a bonus gift from A-DOG! The following article is reprinted from A-DOG’s November, 2013 e-newsletter Wags and Tags. 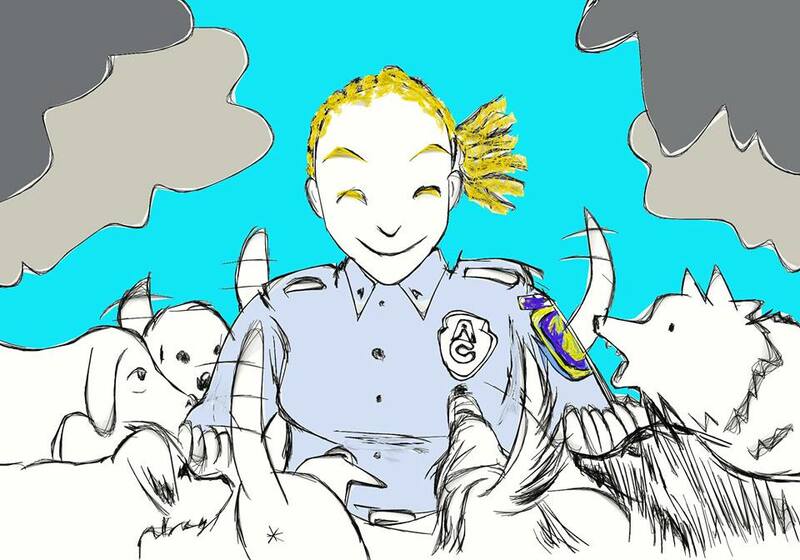 It was written by Arlington’s Animal Control Officer, Amanda Kennedy. Incredibly, there are an estimated 8,000 dogs in the Town of Arlington. Fewer than 1,800 of them are licensed at this time. For a community that has shown such devotion to their dogs this is surprising and we can do better! Arlington Animal Control Officer Amanda Kennedy may be contacted here. Her portrait by Shunsuke Yamaguchi, Arlington, is reprinted with the artist’s permission. The “license and registration” cartoon is also by Shunsuke Yamaguchi and the artist’s fee was donated to A-DOG by Joan and Dana Black. 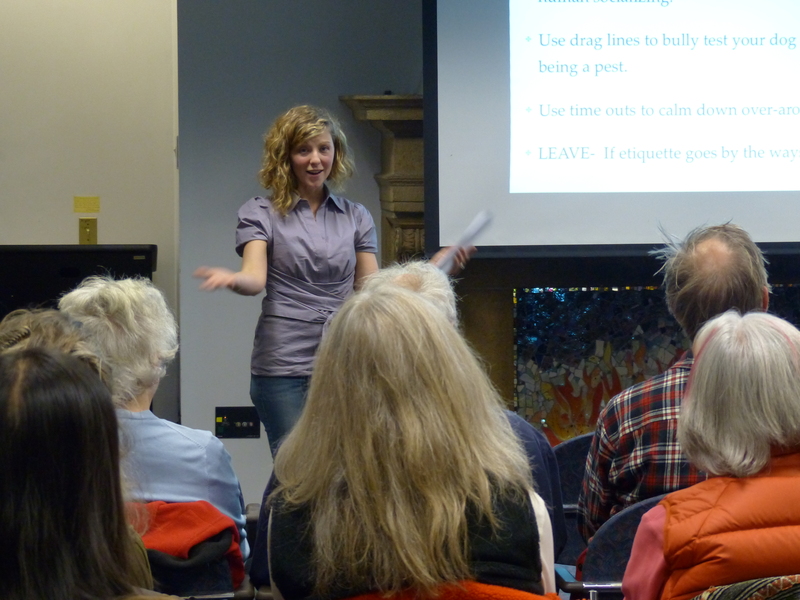 Many of you attended our first Dog Park Etiquette workshop, held in October at the Robbins Library. As promised, these workshops will continue. The next Dog Park Etiquette workshop which had been scheduled for Feb 5, again at the Robbins Library Community Room, had to be postponed because of a snowstorm. (The Library itself was closed). It is now rescheduled to April 23, 2014. It will still be in the Robbins Library Community Room at 6:45 to 8:30 p.m.
An excellent program is being planned by trainer Alana Meserve of ZenDog and Arlington’s Animal Control Officer, Amanda Kennedy. 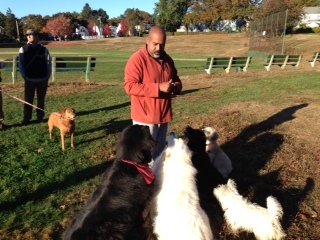 Whether or not you attended the first Dog Park Etiquette workshop, you will learn a lot at the next one. So, please join us! Doors will open at 6:30 for a program scheduled from 6:45 to 8:45 pm. Dog Parks can be either a valuable resource for the urban dog owner or a serious nuisance. It all depends on your point of view. It boils down to etiquette. If you understand dog park etiquette – and if other park users also understand and follow the same guidelines, Dog Parks are awesome. When etiquette is neglected, everyone suffers… especially the dogs! Consider things carefully before taking your dog into your local dog park. 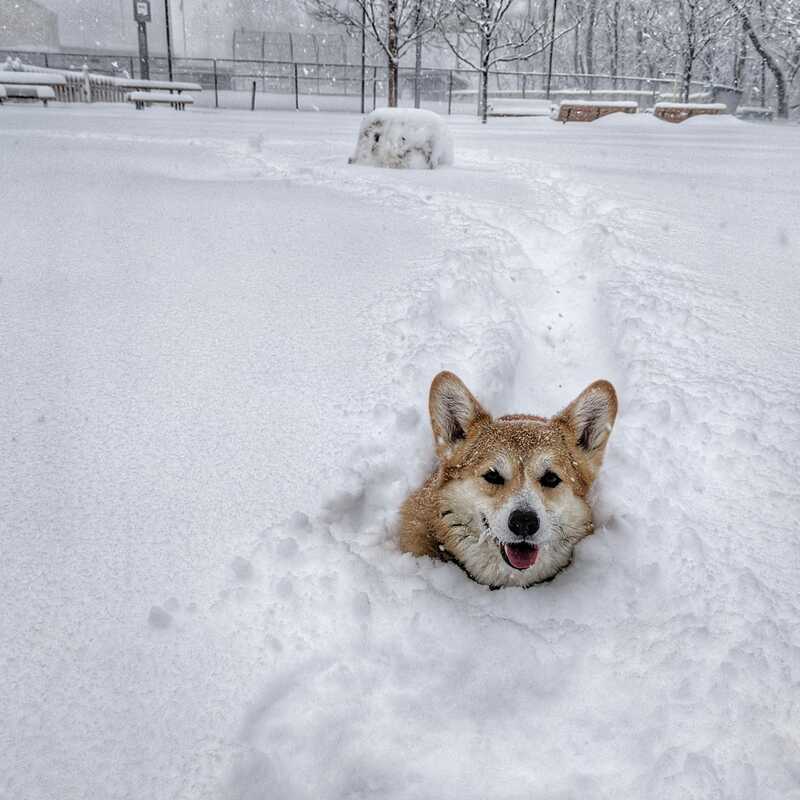 First thing to know is whether or not the Dog Park is an option for your dog. Not all dogs are good candidates for dog-park play. For instance, dogs with behavioral issues in relation to other dogs or humans should not be taken to a Dog Park. These dogs need to be socialized in environments that are far more controlled may need the help of a professional behavior modification trainer. Body language is the main way dogs communicate so knowing how to read your dog’s and others dogs’ physical cues are really important. The ideal body language is loose and playful, but dogs will exhibit a variety of behaviors as they contact new dogs and spend more time at the park. Overall you are looking for balanced play between dogs. Sometimes your dog is the chaser, and next he will be the chased. Stiff and tense body language is a precursor to disagreement and trouble. Try observing your dog when he is exhibiting different behaviors to get a gauge of what his body looks like in these different states. It’s always wise to leave the park if your pet shows signs of fatigue stress or fear or if there are dogs present who seem over stimulation. Playtime can sometimes get out of hand. You should be the one who decides how your dog plays. The problem that occurs at most Dog Parks is that dogs are allowed to engaged in overly aroused play and as a result develop poor impulse control. There is a fine line between over-arousal and aggression. Some overly excited dogs respond to reprimands from other dogs by fighting back, and this is when things often escalate. It could be all talk but it could result in injury. You can simply interrupt play when you think your dogs have become too noisy or rowdy. Teaching your dogs to reliably come when called is one way to do this. This teaches your dog to trust you to handle the situation rather than take matters into their own hands. Most of all, if you’re ever uncomfortable about something that is going on, be a responsible dog-park user, report inappropriate actions of other users that put the safety of dogs and humans at risk to help prevent serious problems and preserve the integrity of the park. For more information visit www.zendogtraining.net and also look for the free lecture series on Dog Park Etiquette and Culture. 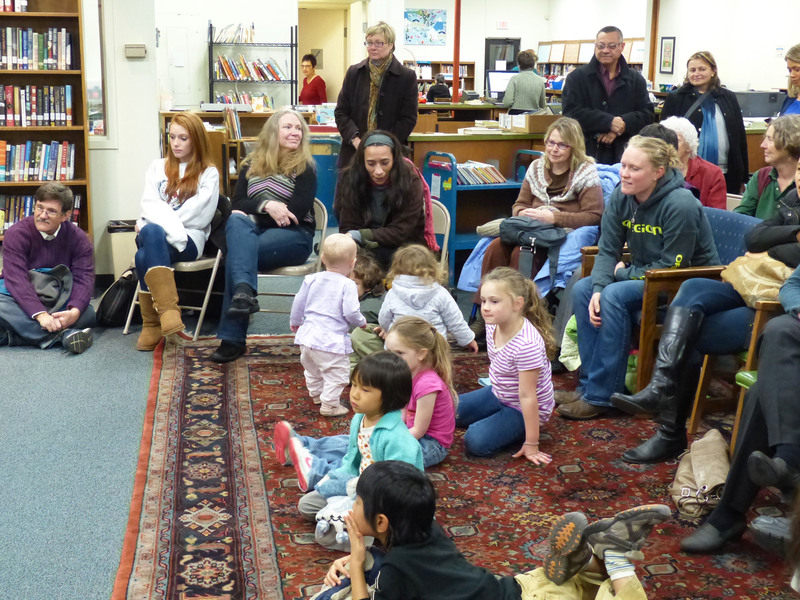 The next lecture will be April 23, 2014 at the Robbins Library Community Room in Arlington, MA. 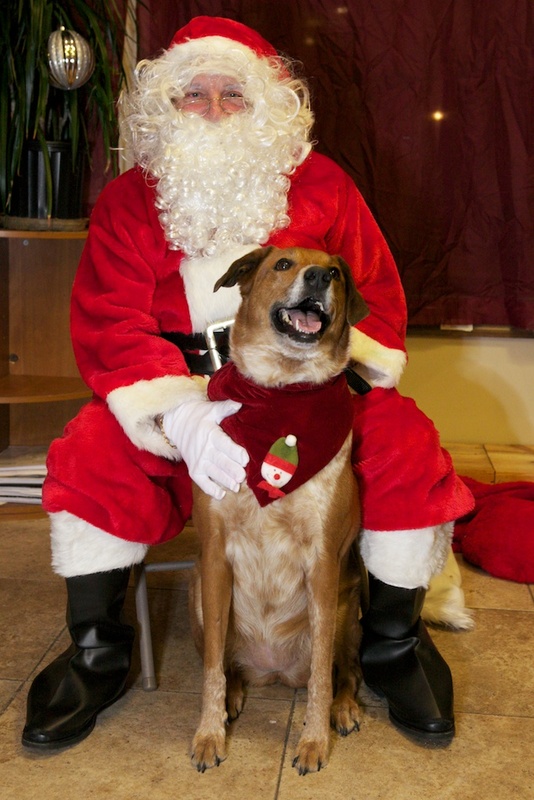 There are lots of ways to help animals during the holiday season and, really, anytime. For so many of us it seems like our homes are already filled with “stuff”, making us feel that it makes no sense to give one another even more “stuff”. One gift option chosen by more and more people is to make a donation in someone’s name. This is a lovely way to honor the relationship with the gift receiver while contributing to meaningful work. Speaking of “too much stuff”, you can de-clutter your home while also helping an animal shelter. Shelters are almost always looking for donations of used towels, sheets and blankets. Just make sure there are no feathers or electric blankets. 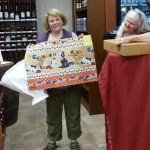 It will help make a homeless animal cozy during the holidays and beyond. Shelters also appreciate donations of new items such as paper towels, kitty litter, bleach, dog and cat treats and toys. Or perhaps a gift card so they can buy exactly what they need. Some other organizations have wish lists on Amazon, giving donors a chance to have that “shopping” experience while doing something wonderful. As parents we can encourage our children to think about those in need, be it an animal or a person. 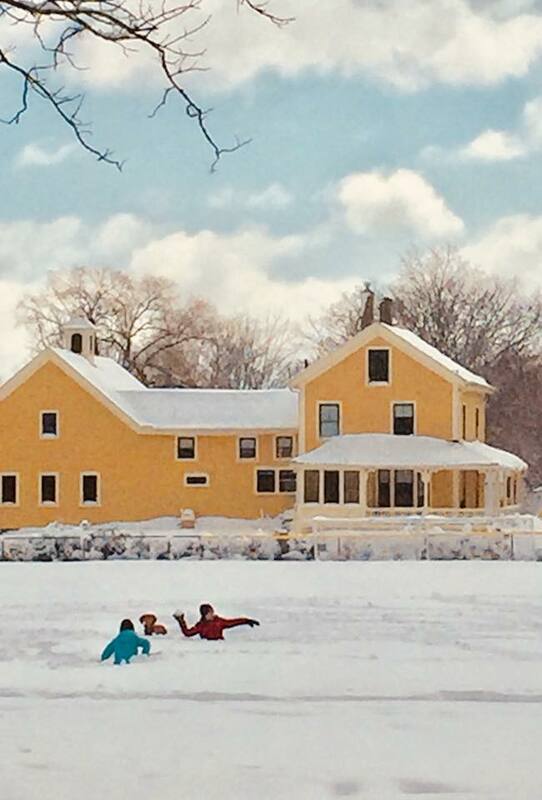 Enjoying the abundance that so many of us are lucky to have by finding ways to share it can give our children some of their happiest holiday memories. Here are a few suggestions for holiday, as well as year-round, giving. Many of the organizations helping animals are 501(c)(3) charities so your donations are tax deductable as allowed by law. Consult each organization for details. 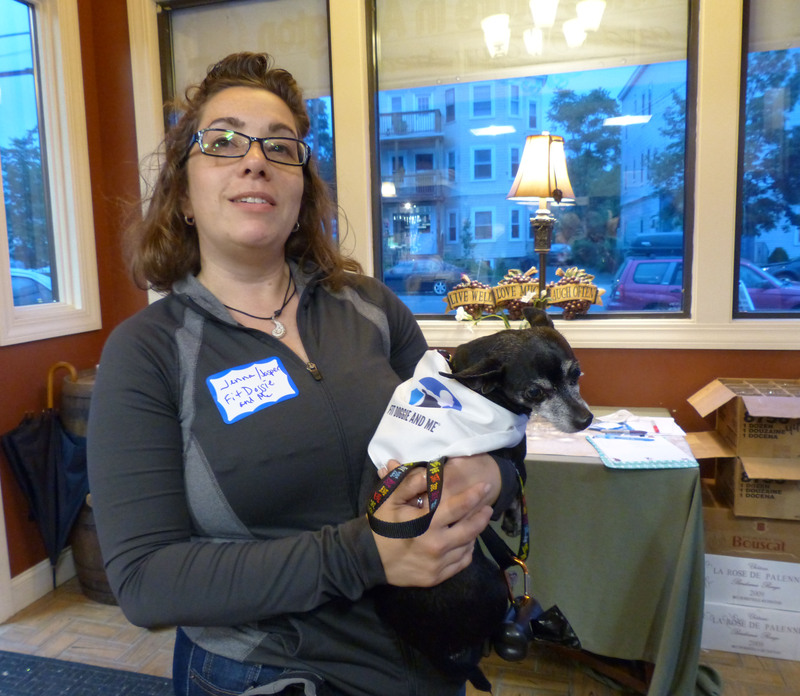 There are many organizations helping animals throughout Massachusetts. The two largest and with the longest history are the Massachusetts Society for Prevention of Cruelty to Animals (MSPCA) and the Animal Rescue League (ARL). Both have multiple locations and provide law enforcement services as well as rescue and shelters offering pets for adoption. Regarding law enforcement, these organizations work to solve animal abuse cases like the recent, high profile Puppy Doe case, every day. There are also many volunteer-run rescue organizations that do not have headquarters but, instead, work though a network of dedicated rescuers and volunteers to facilitate placement of homeless pets into forever homes. Two examples of reputable organizations that have matched local families, including A-DOG members, with loving family pets are American Lab Rescue and the New England Brittany Rescue. You might want to apply to volunteer at an animal shelter, or do other volunteer work for a rescue group, during the coming year. This is a nice “New Years Resolution” because you will need to go through an application and training process for most animal adoption organizations. You might consider fostering an adoptable animal to give a homeless pet love and comfort and to help volunteer organizations, such as those mentioned above, rescue more animals. Becoming a foster family or volunteering in other ways for a shelter or rescue organization are very rewarding. Or, you might consider opening your home more permanently, as a “forever home”, adopting a homeless pet. There are so many wonderful pets just waiting for homes in adoption centers all over the state. Those especially in need are older pets that often get overlooked. What about giving a pet somewhere to finish his or her days surrounded by kindness and warmth? 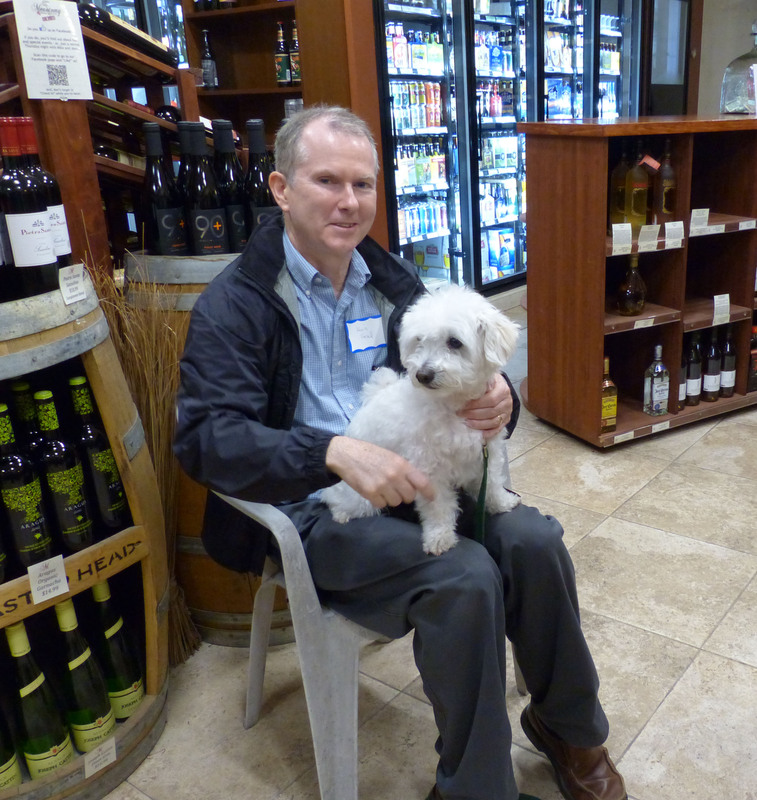 Donate unopened, unexpired pet food and treats to Arlington Food Pantry. (And, while you’re at it, donate some food for human family members, as well.) Whole Foods in Arlington now has a bin where donations may be left. Make a donation to an organization that supports therapy or service dog programs, including: Dog B.O.N.E.S. : Therapy Dogs of Massachusetts and NEADS: Dogs for Deaf and Disabled Americans. Make a donation to or volunteer for an organization that works to reunite families with their lost pets. These include some of the organizations listed above (MSPCA and ARL) but also the Granite State Dog Recovery (GSDR), a volunteer run nonprofit organization that has successfully recovered many lost dogs in NH and MA. (Most recently, an elderly, vulnerable Arlington dog that had wandered from home over the Thanksgiving holiday was safely recovered through outreach by GSDR.). Help Arlington’s Animal Control Officer by donating items to help her recover and care for lost or stray pets. 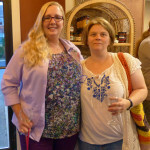 There is an Amazon.com wish list or, for larger giving, contact her directly to learn about bigger projects and needs. Thank you to volunteers from Dog B.O.N.E.S. 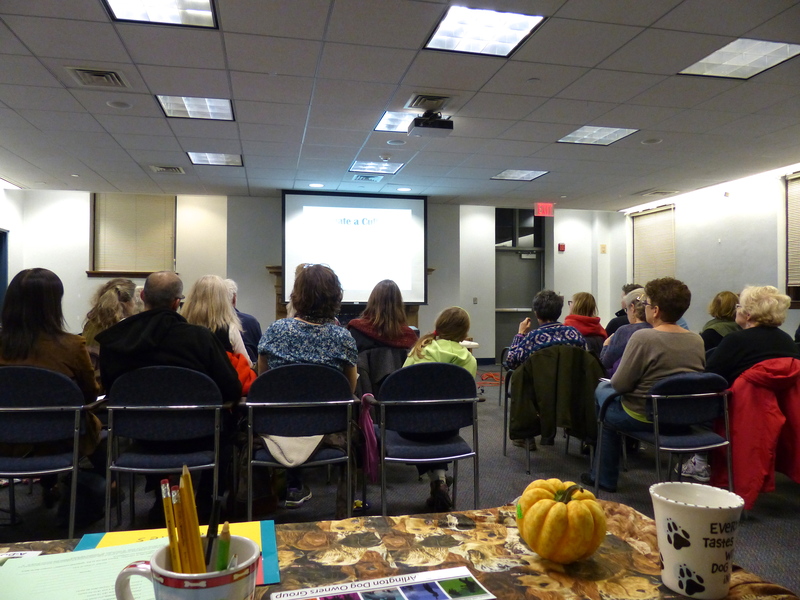 : Therapy Dogs of Massachusetts for a very successful, informative and moving presentation on Therapy Dogs on the evening of November 13, 2013. 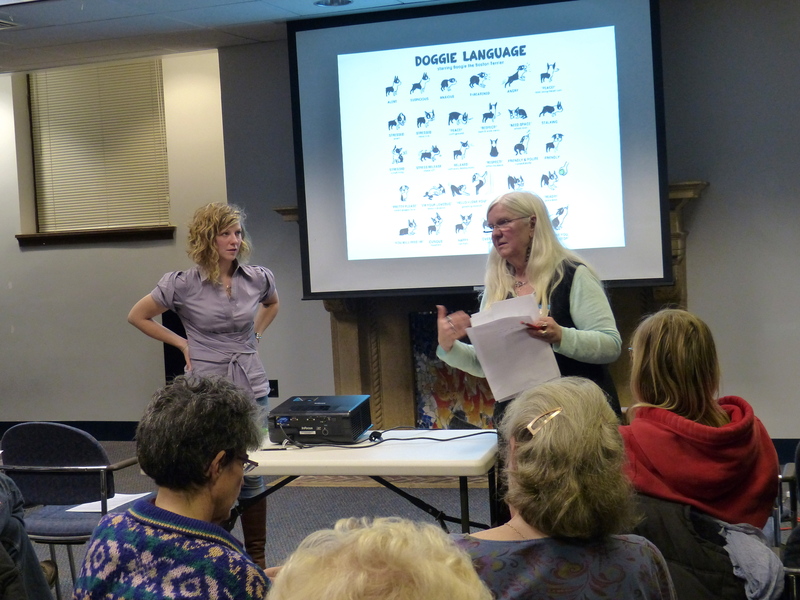 Thank-you, too, to the Fox Library, including librarian Laura Lintz, for hosting the event and to the Russell Fund, represented by Karen Dillon, for their support, including a donation to Dog B.O.N.E.S. 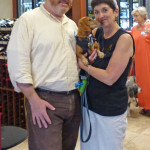 The presentation was moderated by Ellen Duranceau, Dog B.O.N.E.S. volunteer and instructor, as well as an A-DOG Board Member. 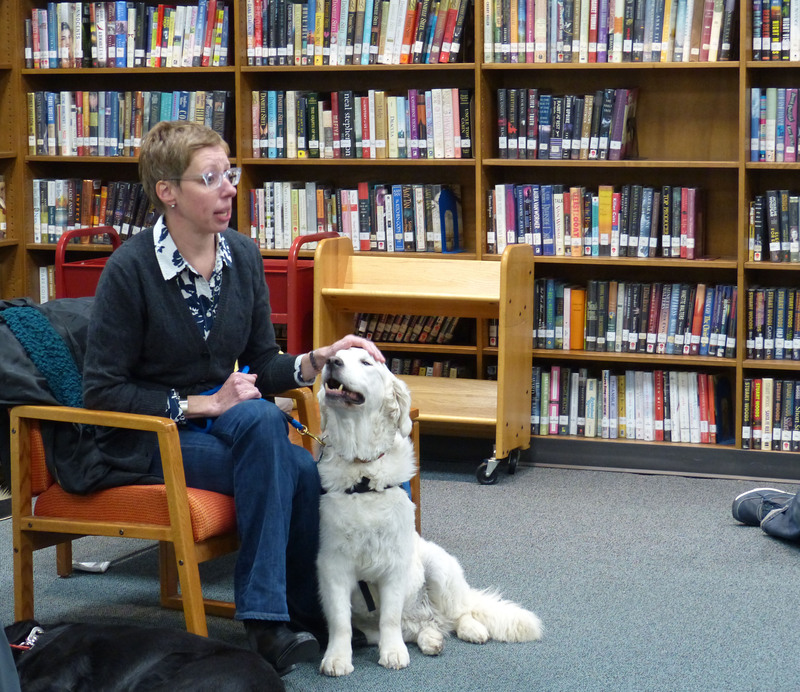 Ellen explained the physical and psychological benefits that therapy dogs can offer to people of all ages. For example, evidence has shown beneficial physiological effects from intereracting with a dog, such as decreases in blood pressure, heart rate, and stress hormones, and increases in feel-good hormones including oxytocin, also known as the “cuddle chemical,” because it is released when bonding with a new baby or romantic partner. Interacting with a dog even for a short time raises spirits, and can reduce feelings of isolation and grief, and has been shown to improve memory and communication in the elderly. Ellen explained the difference between therapy dogs and service dogs. Service dogs are trained to perform specific functions for an individual with a particular need, such as a guide dog or hearing ear dog, or a dog that assists with post-tramautic stress syndrome, and are allowed by law to travel wherever their people go. Therapy dogs focus not on their handler, but on comforting other individuals in need. Therapy dogs assist a wide range of populations including patients in hospitals, the elderly in nursing homes, Alzheimer’s patients, people awaiting cancer treatment, and children with reading difficulties, emotional or physical disabilities, or autism. 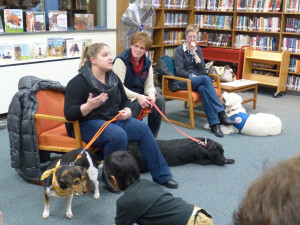 An important part of the event was hearing about the work of the nonprofit, volunteer-run organization Dog B.O.N.E.S. in certifying therapy dog teams, stressing that it is a team – the dog and handler together– that is certified through the organization. Ellen’s own two dogs have worked with her as Dog B.O.N.E.S. therapy dogs, visiting the elderly in Arlington and surrounding towns for 10 years, and only recently did she make the difficult decision to retire them. The work takes a lot of energy and focus and, Ellen explained, it is very important that the human volunteers ensure that the experience is as good for the dogs as it is for the people they are visiting. 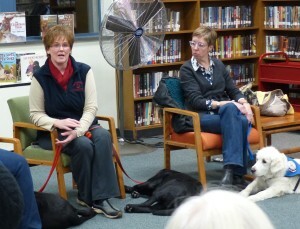 Ellen also explained that not every wonderful dog is destined to be a therapy dog. Dogs need to be outgoing, friendly, comfortable with new settings, calm, and well-trained. They cannot be overly aloof, show aggression, jump up, or mouth people. The main focus of the certification process is to ensure that only dogs that will enjoy therapy dog visits and be appropriate for such visits are certified. 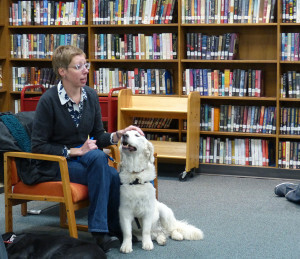 After this background about Therapy Dogs, most of the program was devoted to hearing from three therapy dog teams: Arlington resident Brittany DeLorme with her dog Charley; Agnes Shanahan with her dogs Suzie and Rosie, and Marci Goldberg Gorski, also an Arlington resident, A-DOG member and Dog B.O.N.E.S. 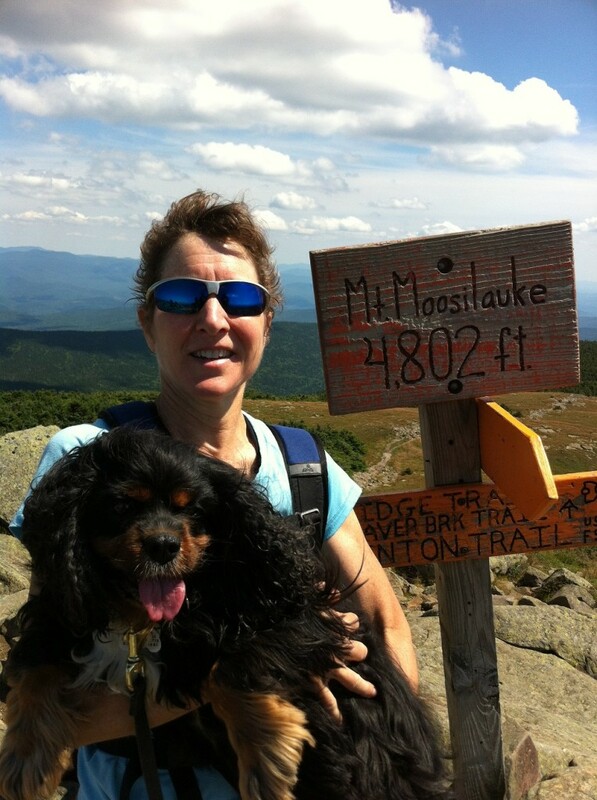 instructor, and her dog Sophie. Brittany explained how her background as a children’s librarian introduced her to the great value that therapy dogs can bring to children, especially those having reading difficulties. Reading to a dog, a nonjudgmental and calming audience, has helped many children to improve their reading skills and confidence. Brittany’s experience observing this made her want to get involved, herself in therapy dog work. She rescued her dog Charley, a beagle mix, and quickly realized that working with children was the perfect vocation for Charley. 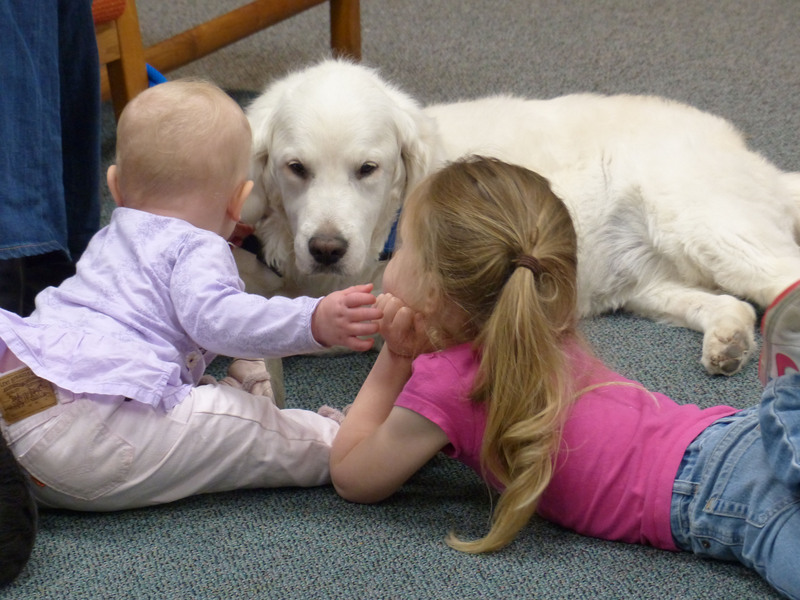 During the presentation, Charley and the other therapy dogs certainly demonstrated their patience and sweet temperaments as several children enthusiastically approached them and wanted to interact throughout the event. Agnes explained how she had lost her beloved dog and had vowed never to have another one, because the death of her dog had been so painful. Then she agreed to foster a dog from the NEADS service dog program prior to the dog’s further training as a service dog. Agnes fell so in love with this black lab, Suzie, that she was relieved when Suzie later was removed from the NEADS service dog program, due to her nervousness in traffic, making it possible for Agnes to adopt Suzie . They quickly became a therapy dog team. One of their most rewarding activities has been to visit severely disabled children in a residential center. Agnes finds the work deeply satisfying and moving, particularly when Suzie brings smiles to the children’s faces. 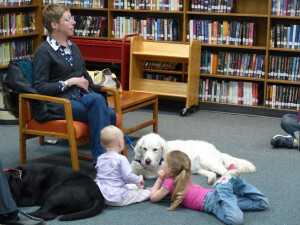 Suzie also helps out as a reading partner for a public library program. 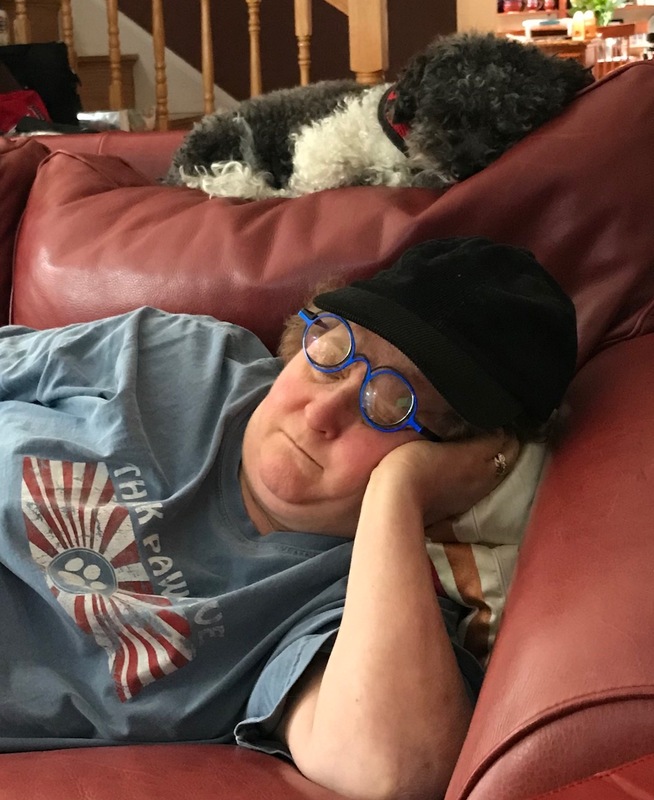 More recently, Agnes adopted Rosie, another NEADS “furloughed” black lab, who is preparing for final therapy dog certification. 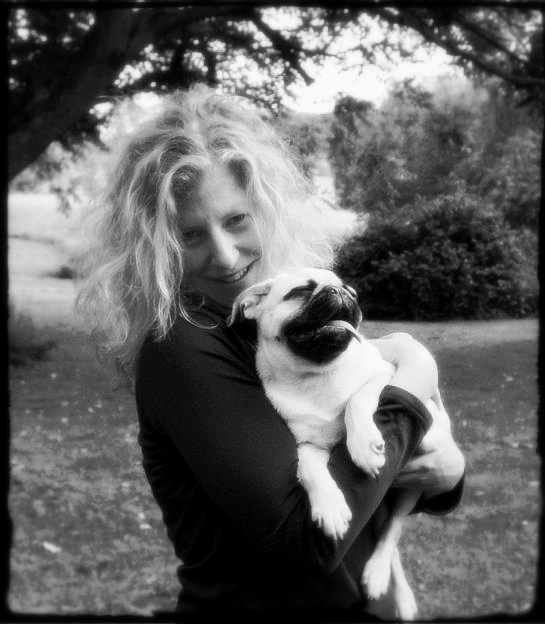 Marci described how she rescued her dog, Sophie, a white-blonde golden retriever, when living in the Netherlands. Like the others, she quickly realized that Sophie’s gentle nature, and interest in meeting new people, would make her an ideal therapy dog. Sophie and Marci have been visiting a vocational program for young adults in Arlington for a number of years, and had become quite attached to the people there, though they have had to seek other sites to visit because Sophie can no longer manage the stairs. 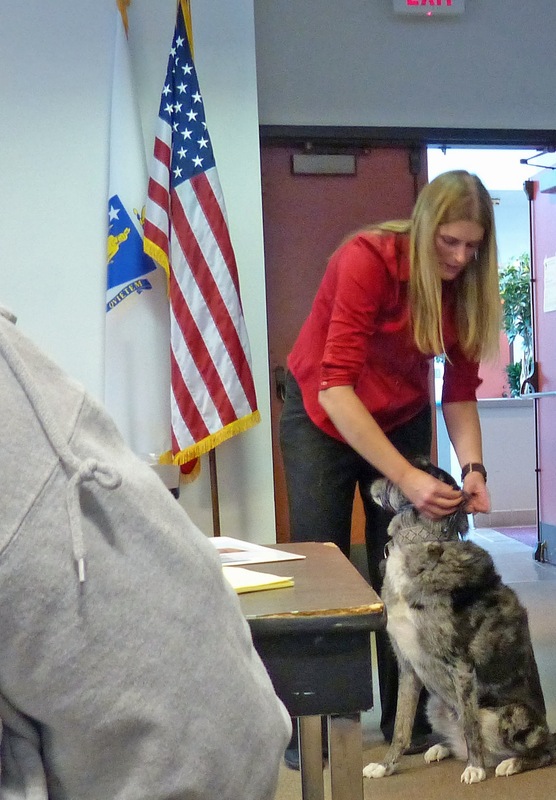 They also visit local colleges during exam-week stress relief events, and help at the annual “critter day” at the Children’s Museum in Boston. Marci emphasized a point also made by Agnes, that the staff at hospitals and nursing homes, working in an emotionally stressful environment, often derive as much benefit from the visiting therapy dogs as do their patients. 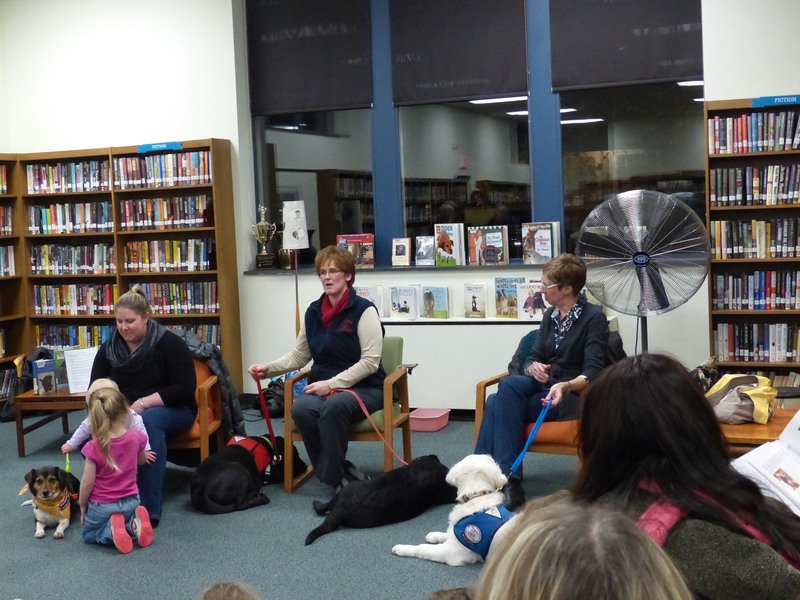 Ellen, Brittany, Agnes and Marci addressed many wide-ranging and thoughtful audience questions from the sizeable group gathered, and gave attendees ample opportunity to interact with their dogs. It was clear from hearing the volunteers speak about their passion for visiting with their dogs, and their dogs’ excitement about their “jobs,” that the simple process of having people interact with dogs offers benefits to everyone involved, not just those the dogs visit, but also the dogs’ owners and the dogs themselves. For more information about Dog BONES and becoming a therapy dog team, see www.therapydog.info. Announcing A-DOG’s Newsletter: Wags and Tags! 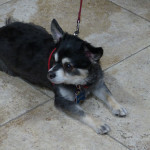 A-DOG announces our fun, informative e-newsletter, Wags and Tags! 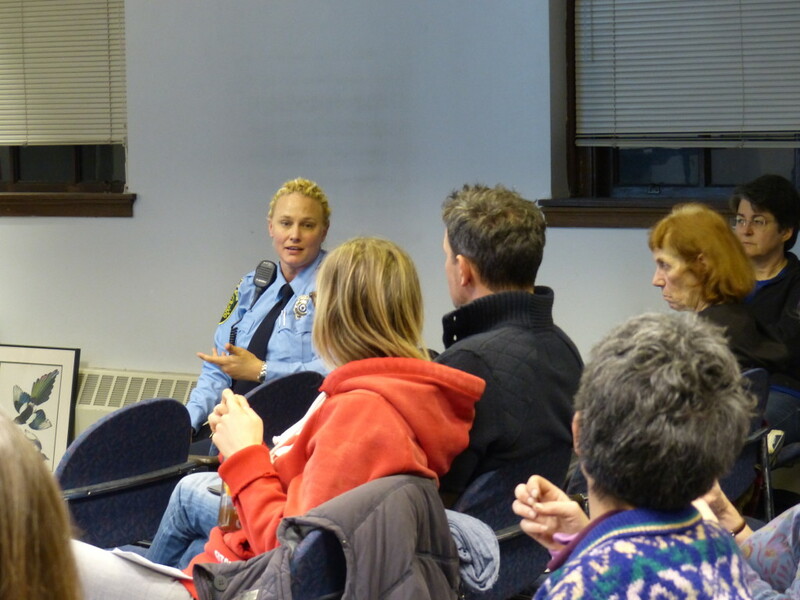 With the 2014 dog licensing year about to begin, Arlington’s Animal Control Officer, Amanda Kennedy, addresses the question “Why should I license my dog?” Learn about the benefits of licensing, not only to the community at large, but also to you and your dog! 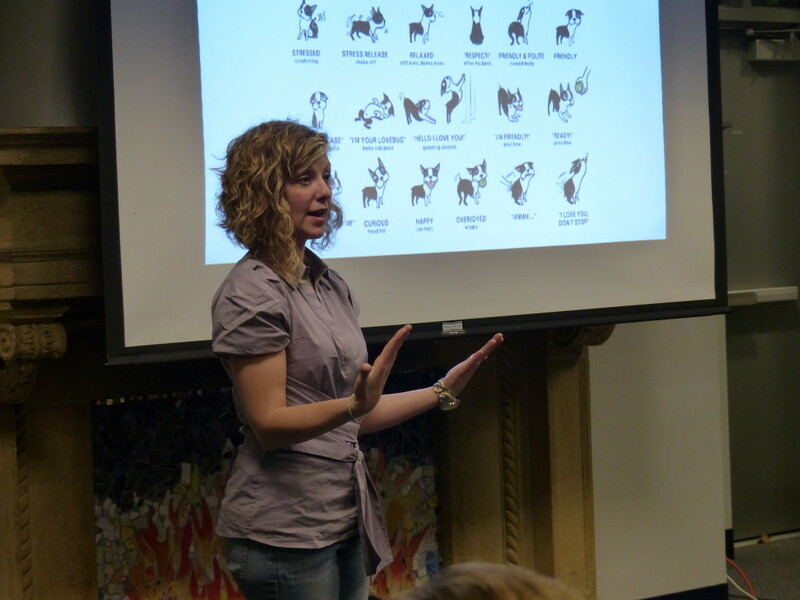 We celebrate our successful recently held workshop on “Dog Park Etiquette” presented by trainer Alana Meserve. And, we announce an upcoming presentation on Therapy Dogs, organized by A-DOG’s Ellen Duranceau and her fellow Dog B.O.N.E.S. therapy dog teams. We profile one Arlington dog, Shinoo, and her family and as well as one business that supports A-DOG, Bette Yip’s Picture Perfect Pets. We hope to focus on at least one membership family’s dog and one Business Friend of A-DOG in each edition. For more, click below to read a pdf version of the November, 2013 Wags and Tags. And, if you’re not already an A-DOG member, join today to ensure that you have the next edition delivered to your inbox ASAP! Ideas for content are always welcome! Upcoming Presentation on Therapy Dogs at the Fox Library with a panel from Dog B.O.N.E.S. Hear about the physical and psychological benefits therapy dogs offer people of all ages, and meet three active therapy dog teams: Marci and her dog Sophie, Brittany and Charley, and Agnes with her dogs Suzie and Rosie. 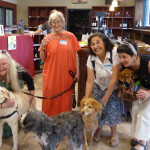 Ellen, Marci, Brittany, and Agnes are volunteers from Dog B.O.N.E.S. 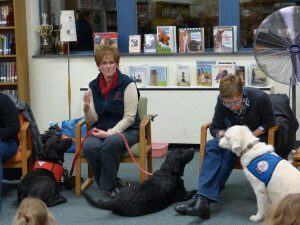 : Therapy Dogs of Massachusetts, and they will talk about what therapy dog teams do, and the many venues they visit to provide emotional support and raise the spirits of individuals of all ages in nursing homes, hospitals, schools, residential programs, libraries, and many other situations and locations. Ellen is Ellen Duranceau, also an A-DOG Board Member. At the Fox Library branch in East Arlington. Free admission. 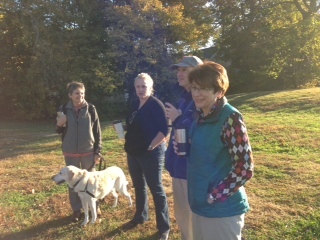 On a beautiful recent Sunday morning, during the off-leash hours, dog owners came to Robbins Farm Park for a “Meet and Greet” with Amanda Kennedy, Arlington’s Animal Control Officer. 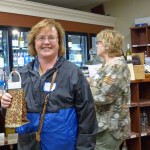 The event was organized by Robin Varghese, a regular user and supporter of Robbins Farm Park, as well as an A-DOG Board Member and Treasurer. 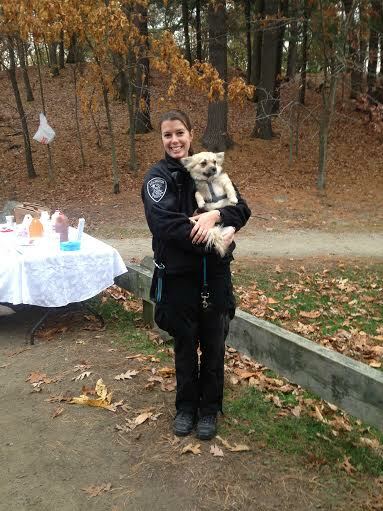 A-DOG was happy to donate coffee for this friendly, informative outreach event. 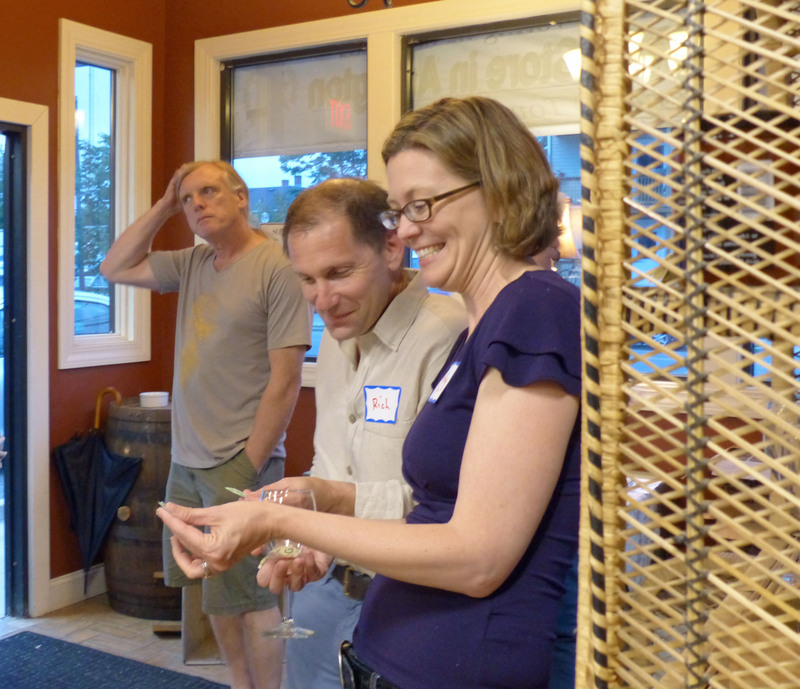 The Friends of Menotomy Rocks Park sponsored their own Meet and Greet event when our new ACO began her job earlier this fall. 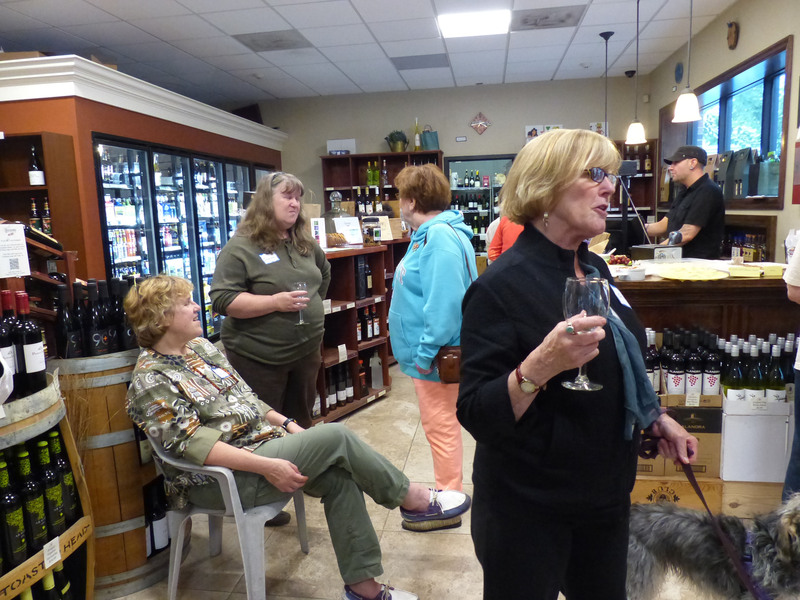 In addition, A-DOG hosted a welcoming reception in her honor at its regular monthly meeting in September. At this meeting, a discussion began about how A-DOG can work with Amanda to promote education and responsible dog ownership in Arlington. Proposed initiatives include teaching greater awareness of how to safely and happily interact with dogs, promoting the advantages to both dog owners and the broader community of dog licensing, and helping residents, such as senior citizens, who might face challenges to keeping and caring for their pets. A-DOG is very excited that Arlington has chosen somebody with Amanda Kennedy’s depth of experience (as recently summarized in a press release by APD Chief Fred Ryan) and strong community commitment, and we anticipate a very productive working relationship. As a recent example, Amanda attended A-DOG’s recent workshop at the Robbins Farm Library on “Dog Park Etiquette” and collaborated with professional trainer Alana Meserve to address audience questions. 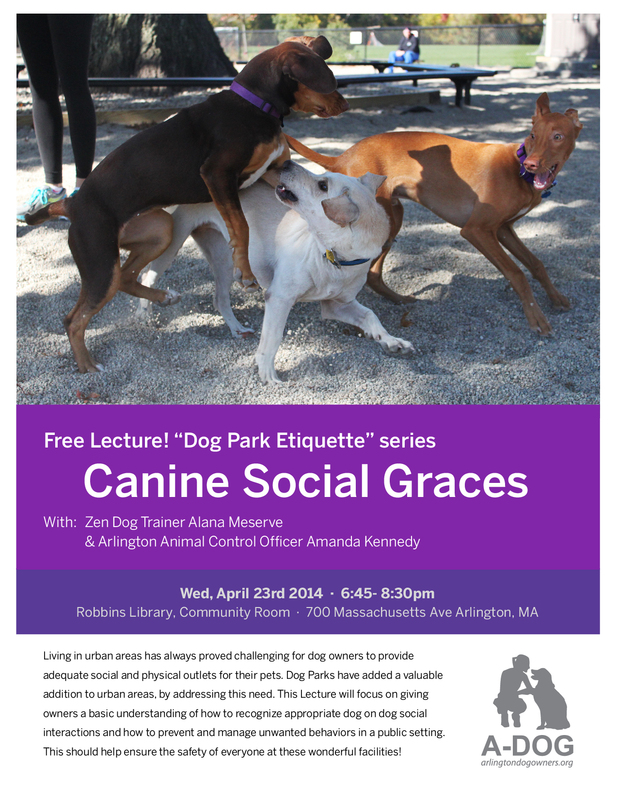 More information about the Dog Park Etiquette workshop here and link to Arlington’s Animal Control program here. 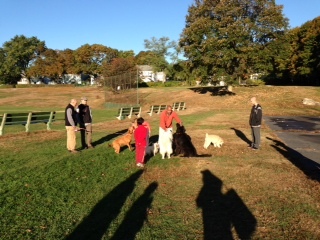 Dog Park Etiquette workshop #1 was a big hit! 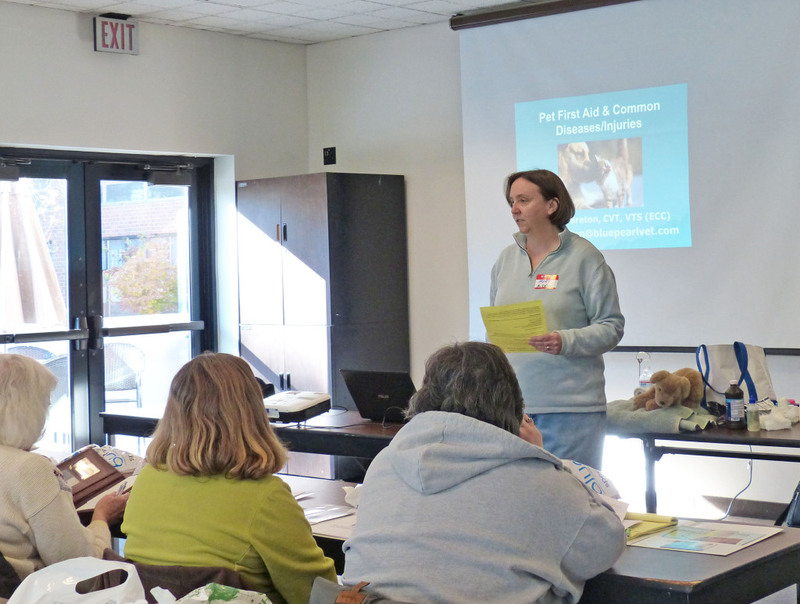 On October 24, 2013, A-DOG sponsored the first in a series of workshops to help dog owners successfully navigate the joys and potential challenges of off-leash recreation. Alana Meserve of ZenDog Lexington gave a very informative, enjoyable presentation covering such topics as canine body language, to teach the audience about clues that your dog is enjoying his time in the dog park or, instead, is not having a great time or perhaps is even in danger of getting into trouble. 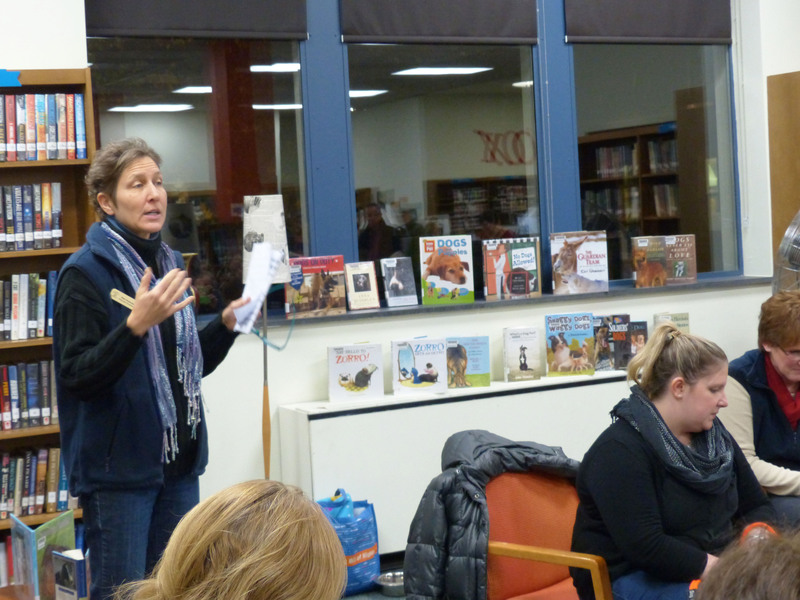 Arlington’s Animal Control Officer, Amanda Kennedy was also present to give her input on behavioral and other issues that can come up during off-leash recreation. Overall, the presentation helped dog owners to learn about issues that they can deal with themselves, with training and control of their own dogs and communication with other dog owners, versus situations in which they should seek professional assistance and enforcement from the ACO. Also, information in the workshop enabled owners to better understand whether their own dog could benefit from professional training. 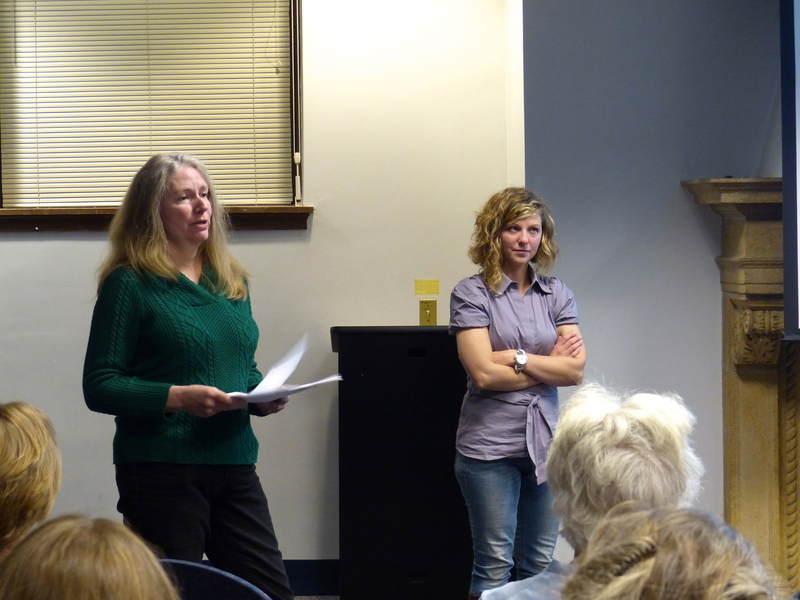 Moderators Joan Black (VP Membership) and Susan Ruderman (VP Development) made the program run smoothly, facilitating discussion and ensuring that audience questions were addressed. 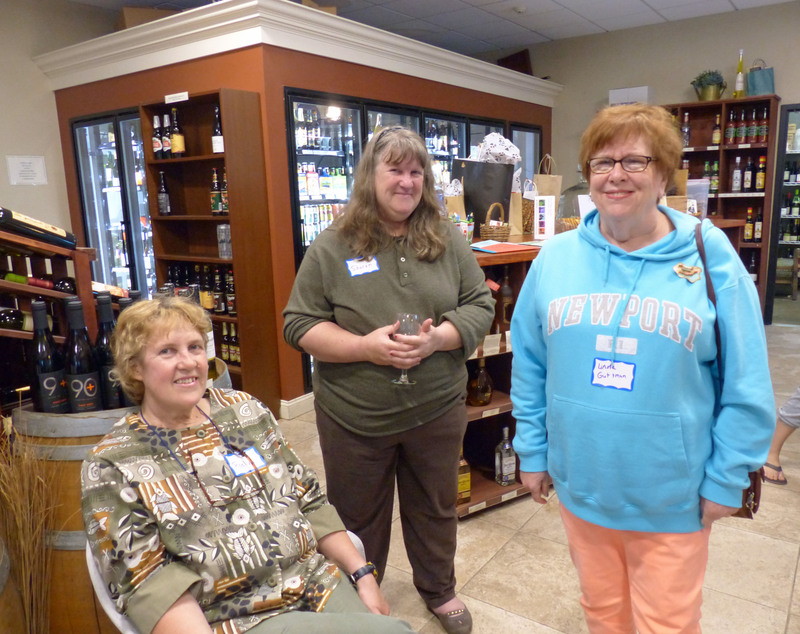 Other volunteers included Ellen Kravitz (audio/visual) and Pam Hallett, Laura Gerson and Sue Doctrow (greeting, signing up members, etc.). We were also happy to welcome Leslie Mayer, A-DOG’s liaison to the Park and Recreation Commission (PRC). 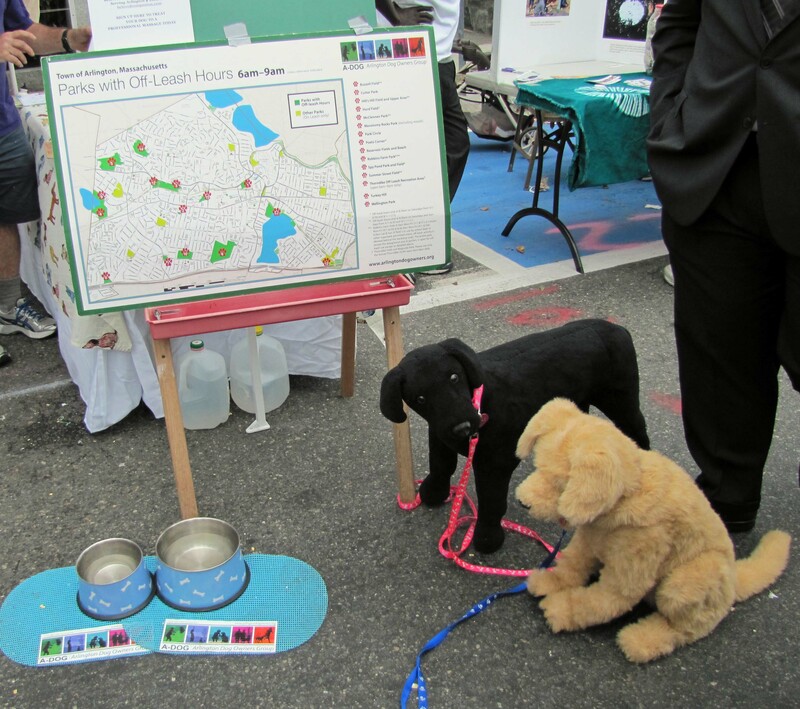 In coordination with the PRC and the Arlington Recreation Department, A-DOG and Alana look forward to holding future educational events, including “live demos” to be held at off-leash recreation sites such as the Thorndike OLRA. In addition, we were happy to see that ACMI sent journalist/cameraman Jay Sundar Rajan to cover the event, in recognition of the community importance of programs that promote responsible dog ownership and recreation. A-DOG was delighted, too, to welcome new members who were introduced to A-DOG that evening and decided to join us! Stay tuned for the next A-DOG educational program!